For a complete list of Association members, please see our Member Listing web page. 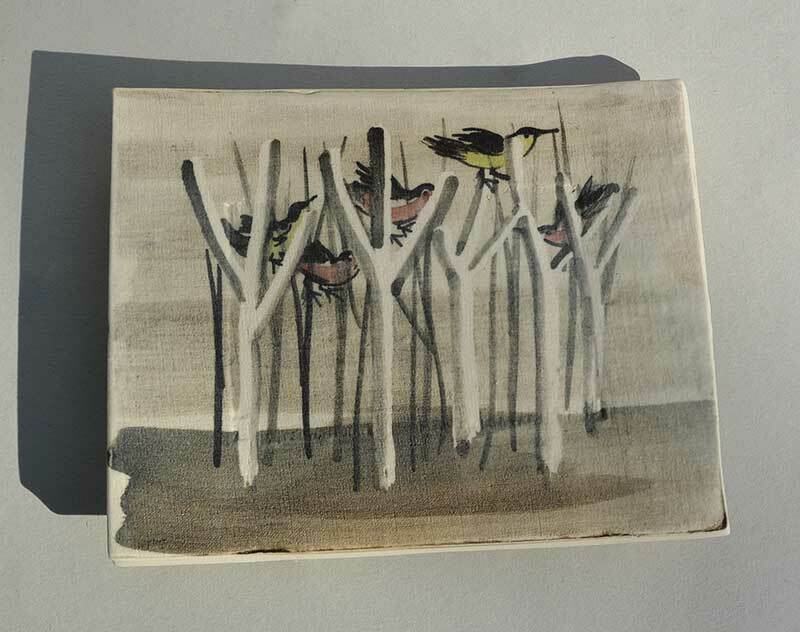 I paint with coloured slips directly on to the dry clay surface. 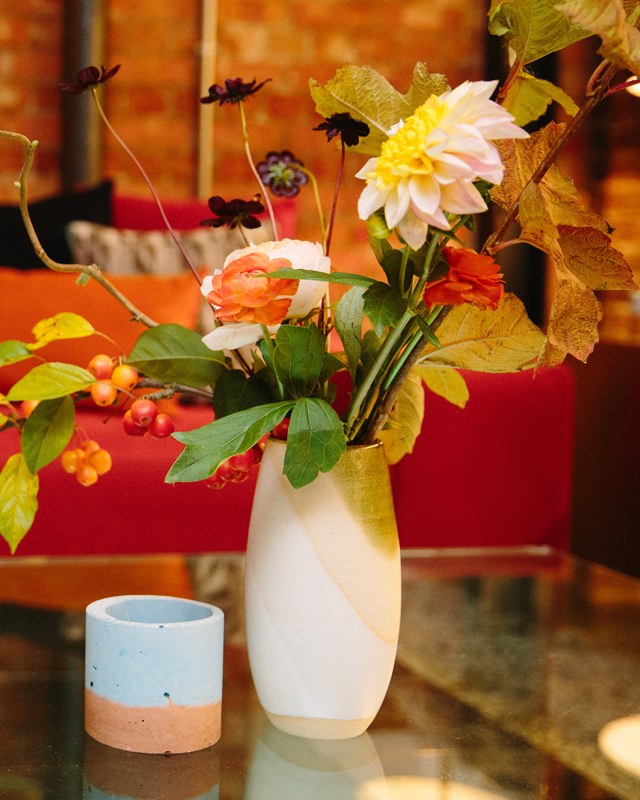 This immediacy allows for spontaneity and greater tonal depth.I make a wide range of thrown and Slip-painted earthenware ceramics such as jugs, vases, bowls, platters, plates, cups and mugs. I Bisque fire to 1020 degrees centigrade and use a transparent glaze fired to 1140 degrees centigrade. I make a wide range of sculptural forms, mostly wall-hangings, that use textures and patterns derived from found objects, wrappings and industrial scrap. 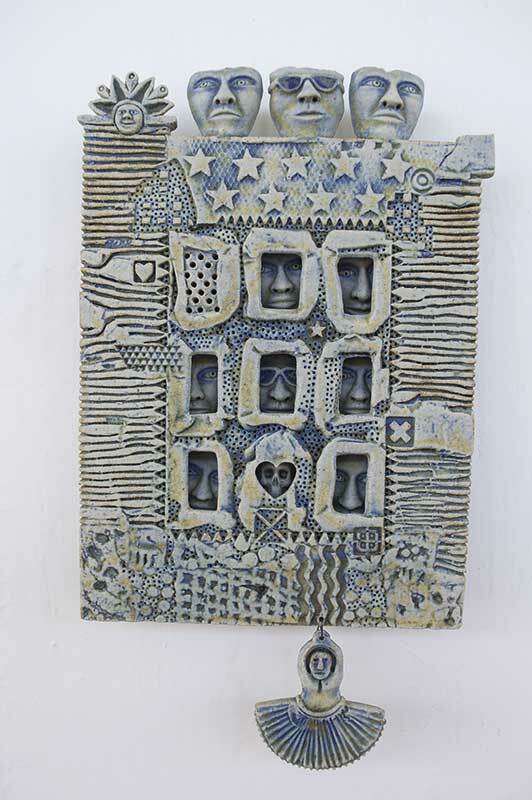 Faces are a central theme, but the work reflects my interest in architecture, antiquities and tribal art. Sally MacDonell’s fascination with people leads her to model figures with slabs of clay, forming tubes from which the work evolves. 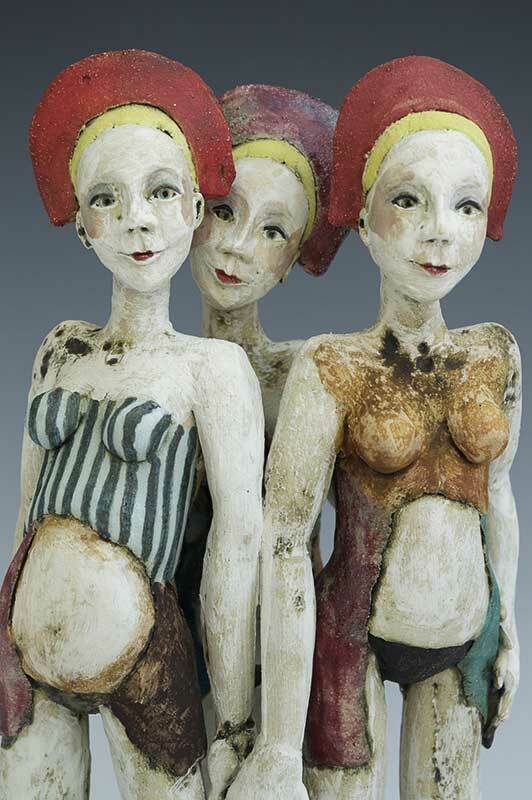 Figures are coloured with oxides/stains and glazes and fired to 1186’. All pieces are unique. 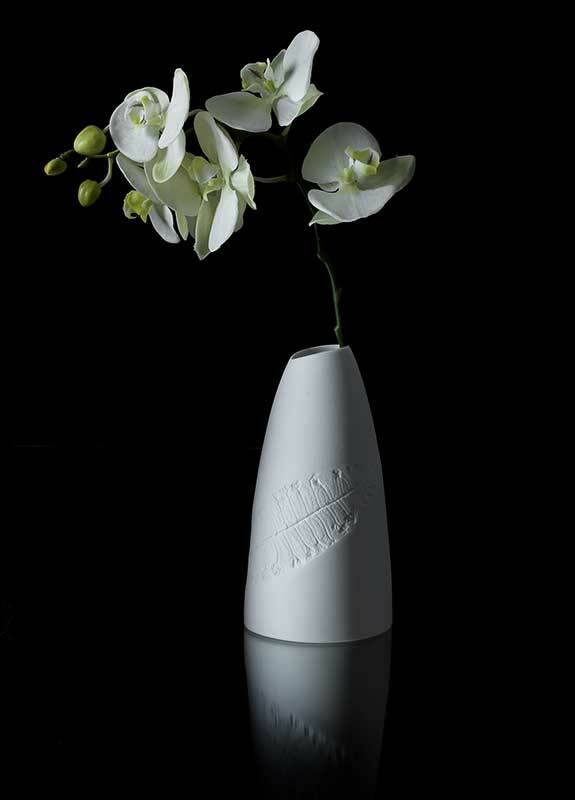 My vases are originally thrown and then cast. After casting I do manipulate the top edge. The image is wax resist and then oxide washed followed by a fine spray of glaze. 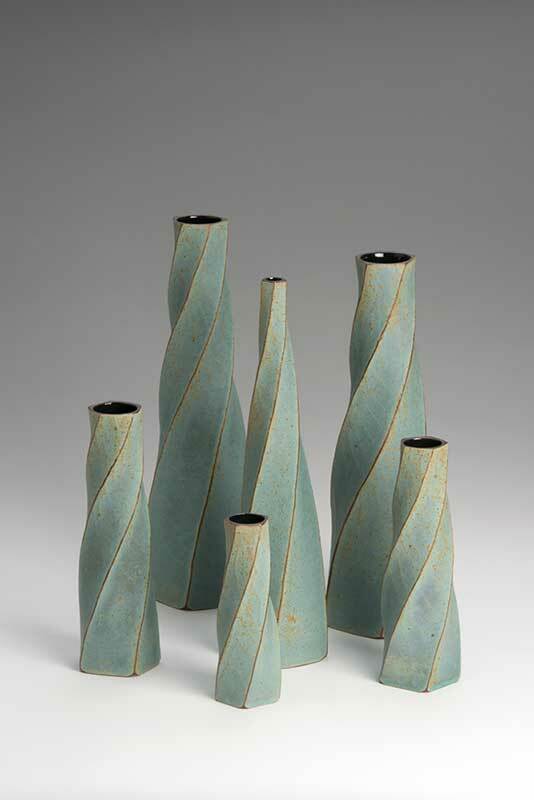 Fired to stoneware – 1260 c . my flat ware is hand rolled and fired with the same procedure as the vases. My workshop is situated at Stragglethorpe Lincolnshire. 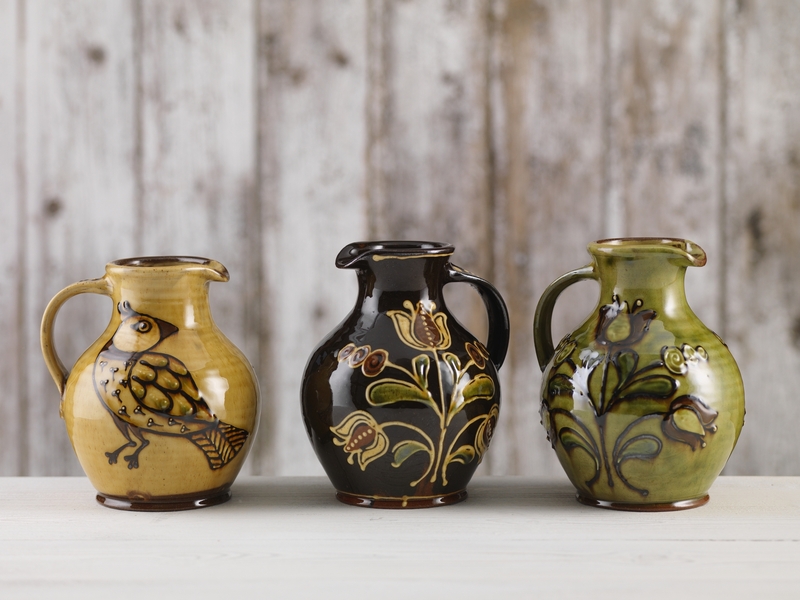 Made in Cley is a group of craftspeople established in 1984 in Cley next the Sea on the North Norfolk coast. 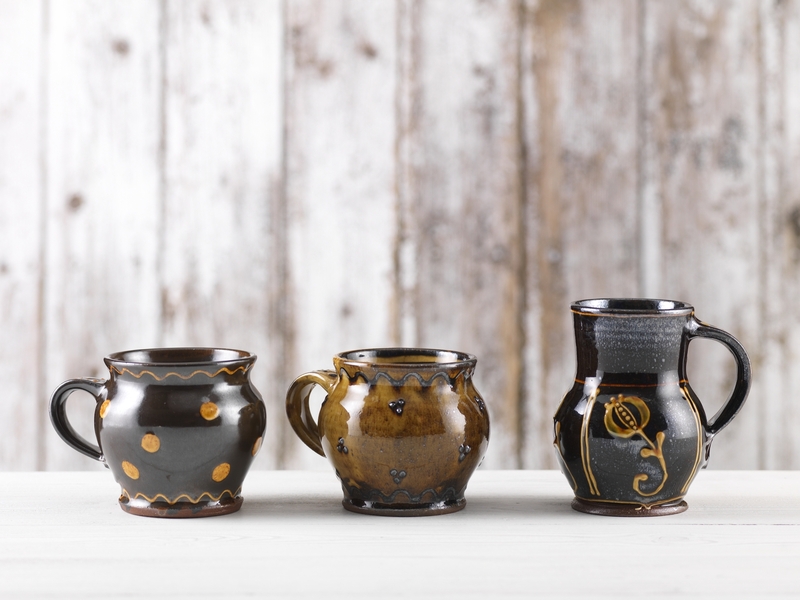 There are 9 potters: Wolfgang Altmann, Gunhild Espelage, Christiane Guenther, Richard Kelham, Nadine Leech, Mary Perry, Rosalind Redfern, Nicole Schumacher, Barbara Widdup and a jeweller Quay Proctor Mears. 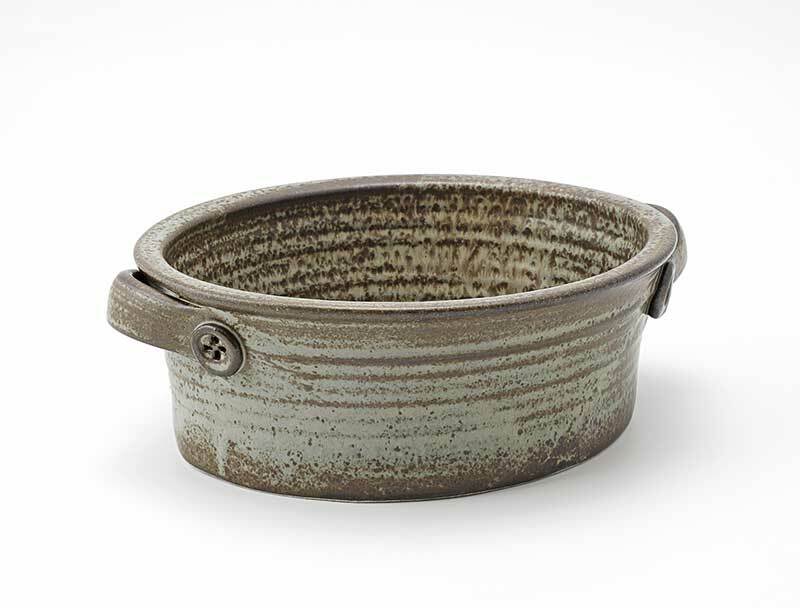 We produce a wide range of wheel thrown reduction and oxidised fired stoneware for domestic use. In addition to our domestic range we make individual sculptural pieces for the house and garden. Commissions undertaken. We sell our work in our gallery where we also have our workshops. 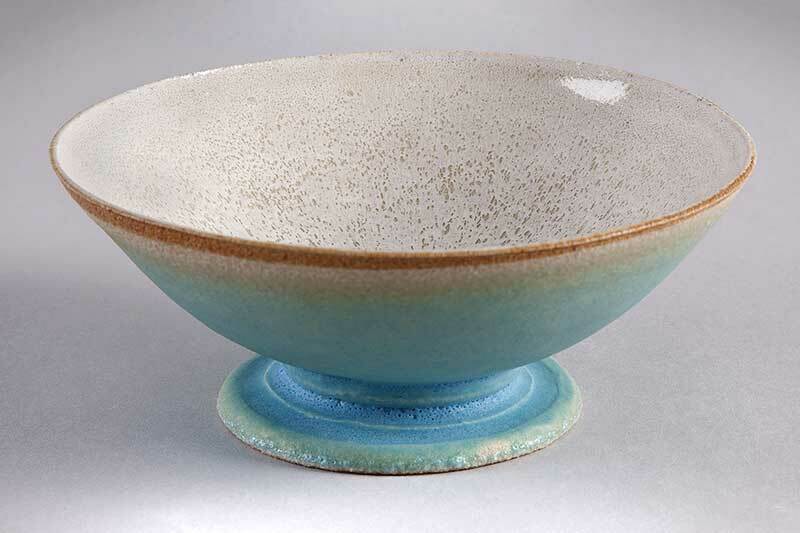 Jim Malone has been making high fired stoneware pottery since the early seventies and also makes some porcelain. 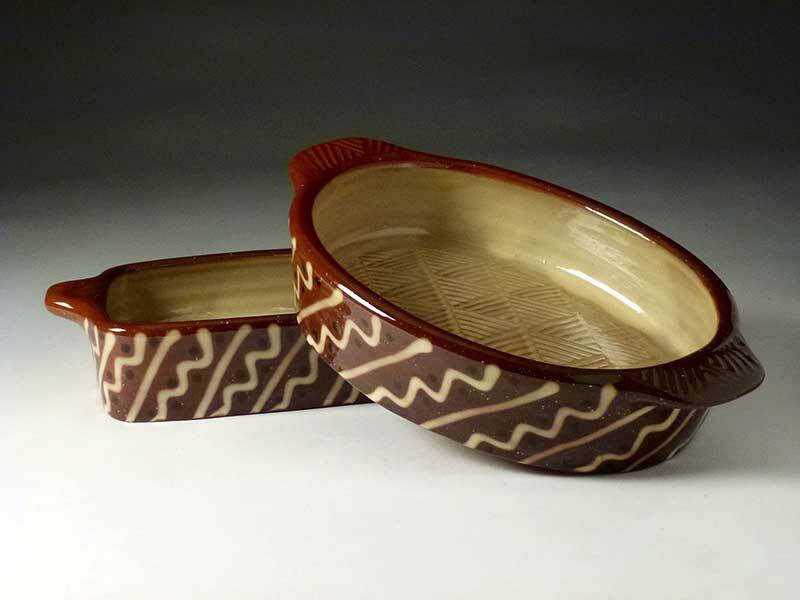 He works alone producing a wide range of individual pottery forms. 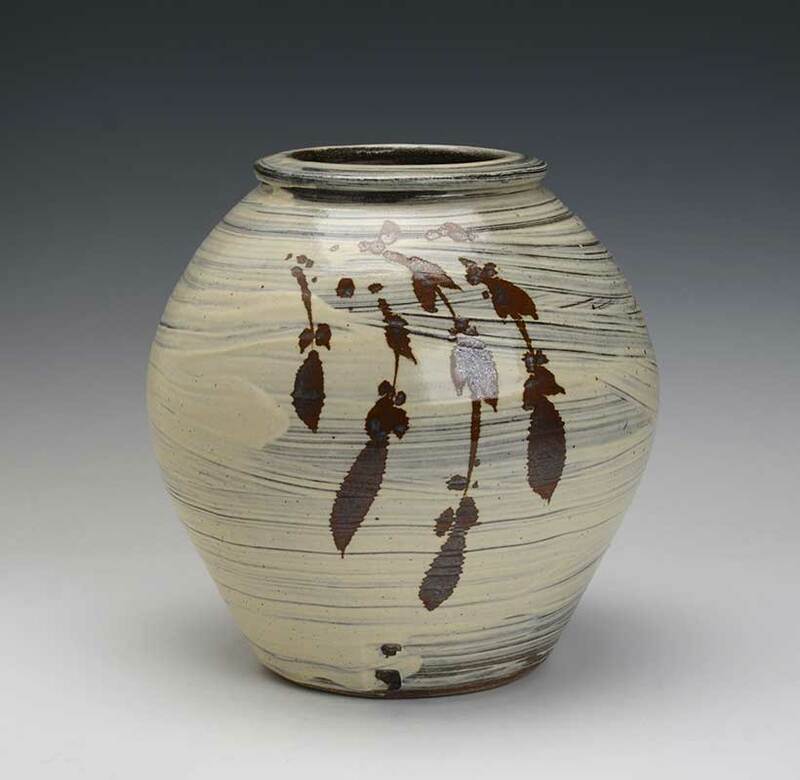 One of Britain's foremost potters, he has exhibited widely in this country as well as in America, Germany and Hong Kong. Work is all thrown on a traditional Korean type wheel and fired in the oil and wood burning oriental climbing kiln, the latter taking 20 hours to reach the required temperature throughout ( 1350 degrees centigrade in the hottest part of the kiln down to about 1280 deg.C). Constant stoking is required for much of this time. 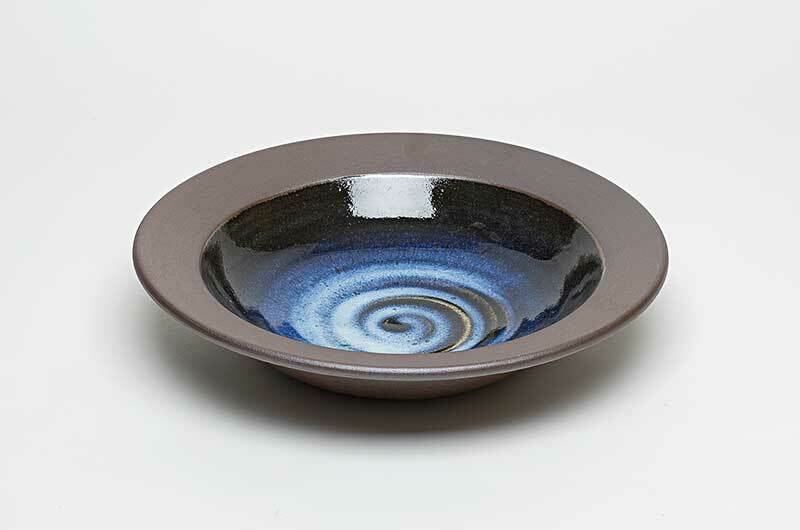 Many different wood ashes and local minerals are used to make up glazes and these combine to make pottery which is both distinctive and unique to this area. Firings take place about 4 times a year, but can be less frequent. 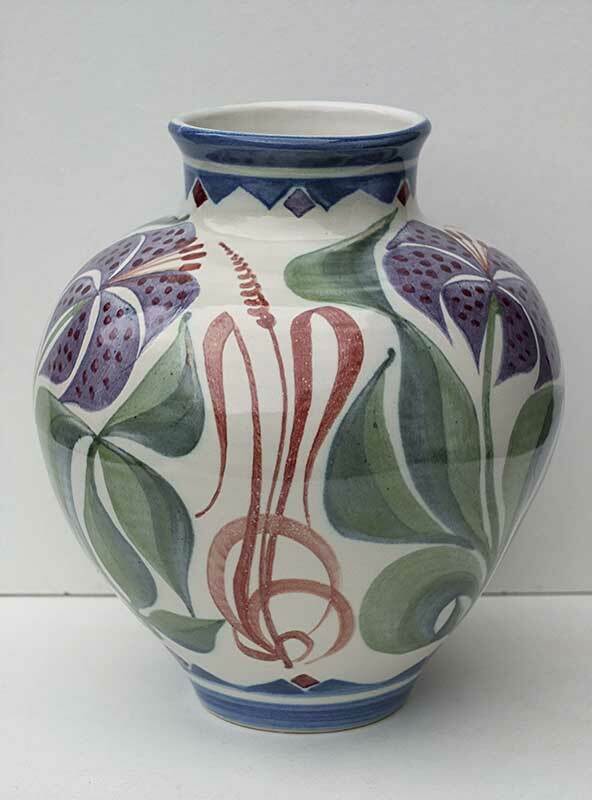 He is included on the British Crafts Council index of selected craftsmen and is a Fellow of the Craftsman Potters Association of Great Britain. 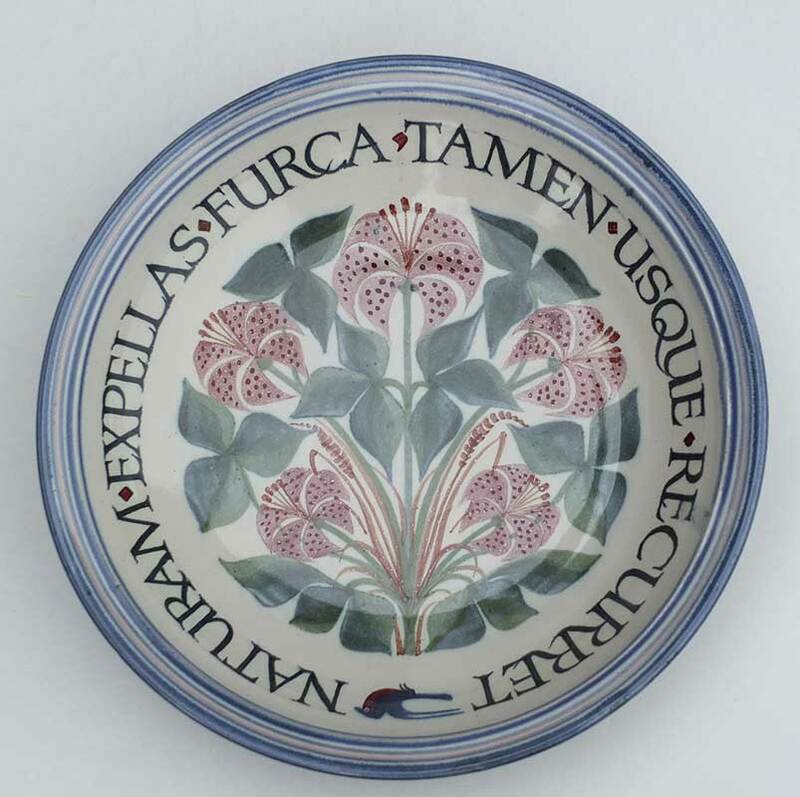 My work lies within the tradition of maiolica and celebrates this rich historical medium through many diverse influences ranging from the sophistication of Italian Istoriato dishes through to the simplicity of humble folk wares. 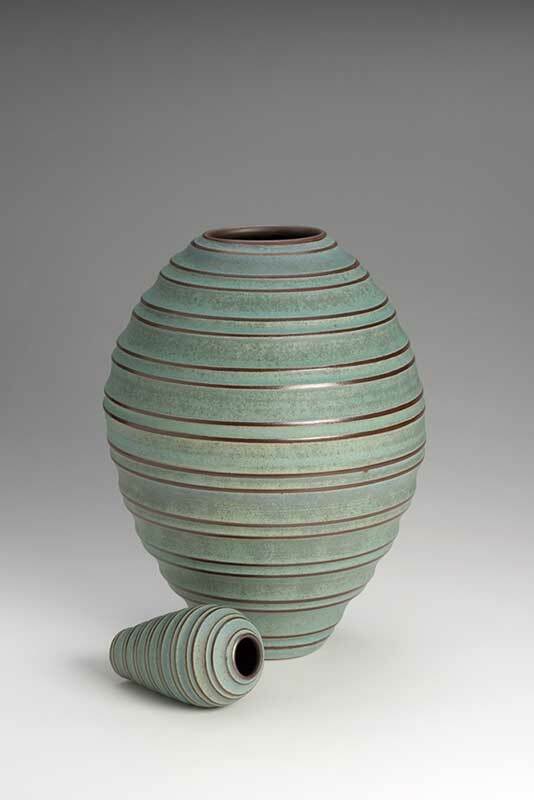 Coiled, pinched and hand-modelled in red terracotta clay, the pieces are dipped in an earthenware tin glaze where they become like primed canvasses. 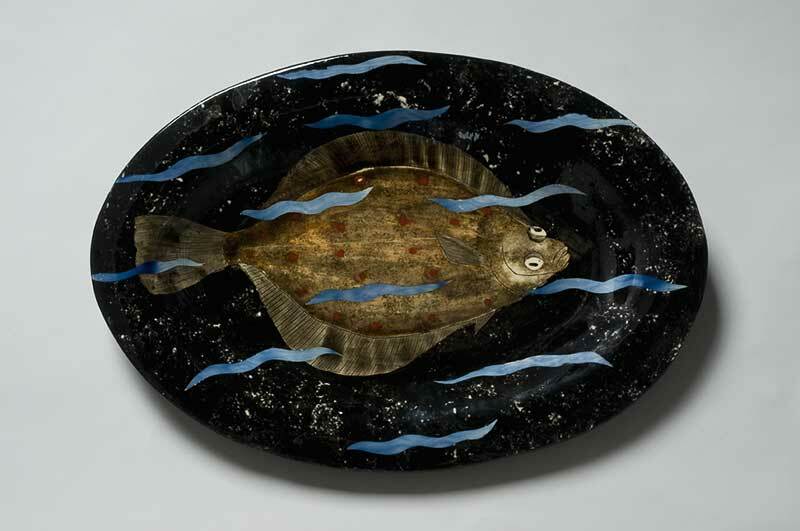 The unfired glazed surface is painted with a range of oxides and stains prior to firing. Subject matter is derived from portraits, figures and animal studies in museum collections or drawn directly from life; a fusion of the observed and imagined. Portrait dishes are softly coiled, their painted images built up of composite features observed from friends and characters in films and magazines, garlanded within floral motifs. 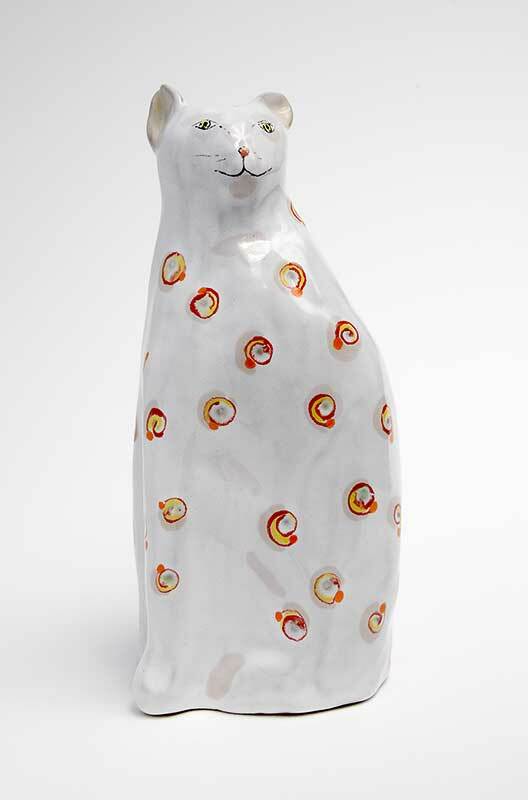 Animal vessels are portraits whose gentle humour is offset by the suggestive poise of their condensed forms. 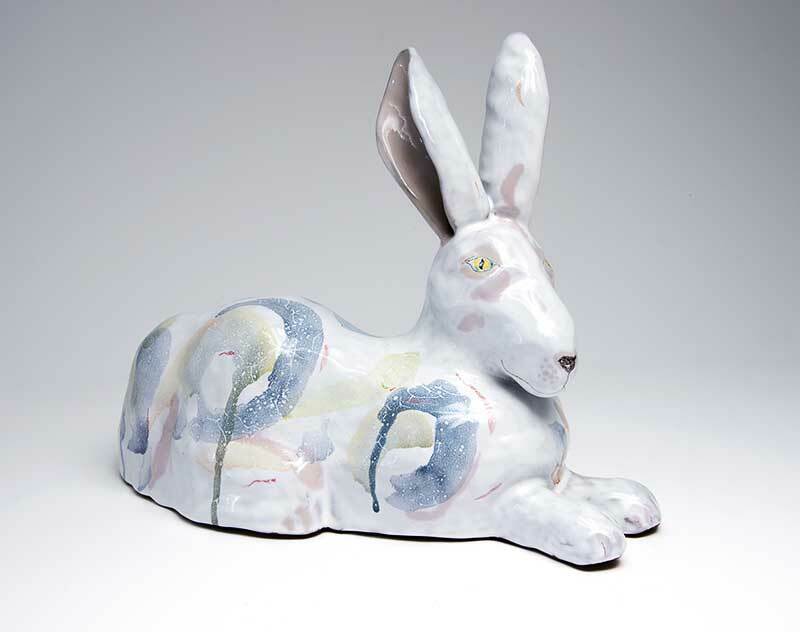 Influenced by characters from painting and literature the modelled animals and figures take on a more animated nature, communicating silent yet eloquent messages that resonate with the viewer. A fusion of painting and sculpture the work strives for a poetic mastery through pictorial representation with a freshness of palette that belies the difficulty of the process. 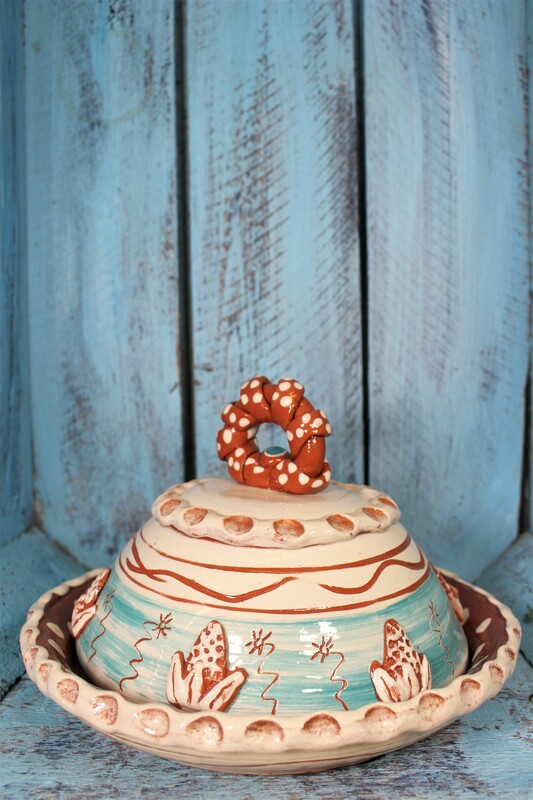 Handmade ceramics including decorative and functional items, tableware, and original works of artistic expression. 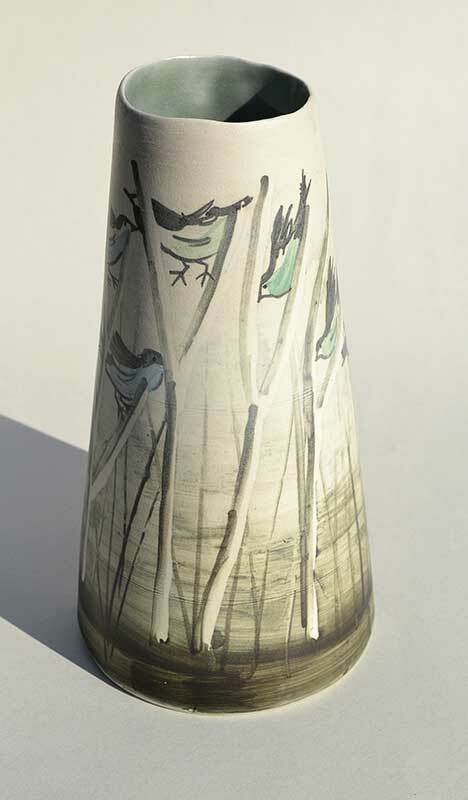 As an individual maker, design and craft skills, technical knowledge and creative expression each have their part to play, but equally important are sources of inspiration and influence; the natural environment, its subtle detail and awesome magnificence, and the unbroken link of the craft of ceramics through the ages, reaching back into ancient civilisations and culture. 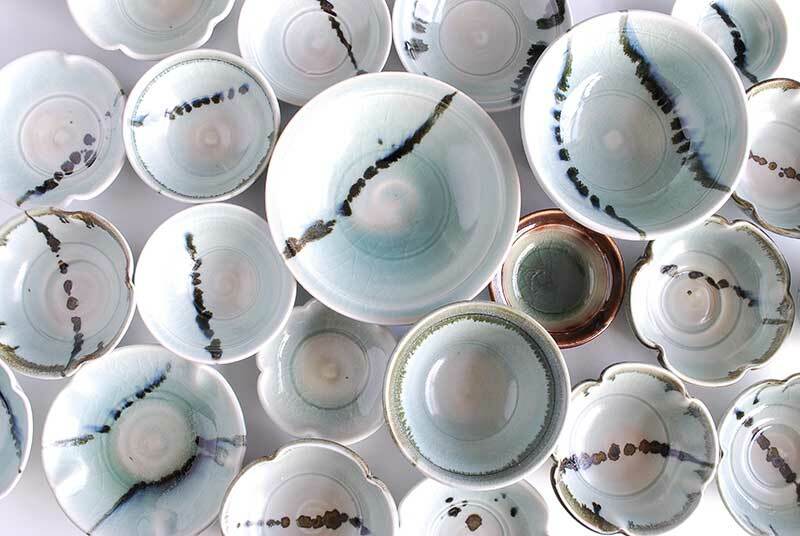 These touchstones feed into the kinaesthetic pleasure of making  the most tangible thing to me as the maker on a day to day basis  resulting in the realisation of a range of contemporary ceramics, retaining the vitality and enduring qualities of hand-crafted work. 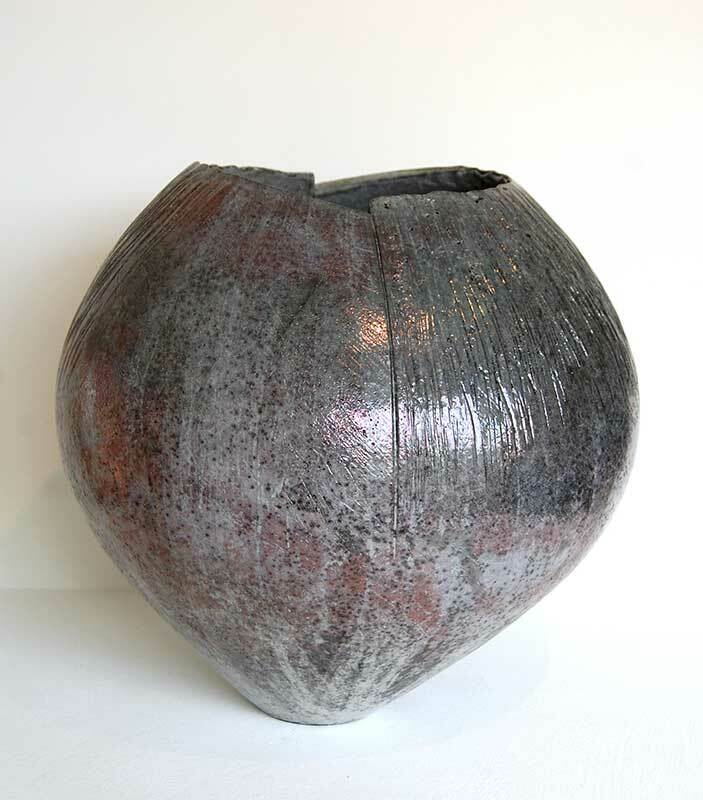 John started making pots at evening class in London and was instantly captivated by clay. 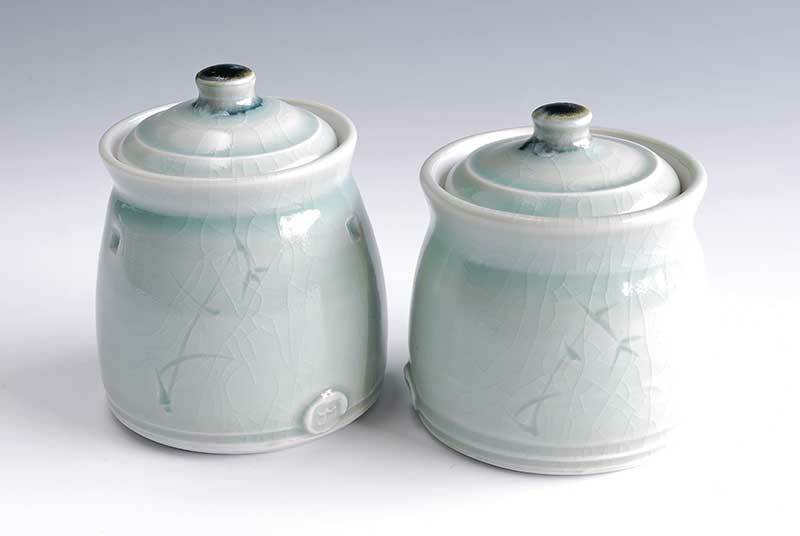 A year later he began teaching pottery at secondary level, and has since taken a degree in ceramics. After leaving full-time work in education he taught adult classes, in a college, and in a prison. 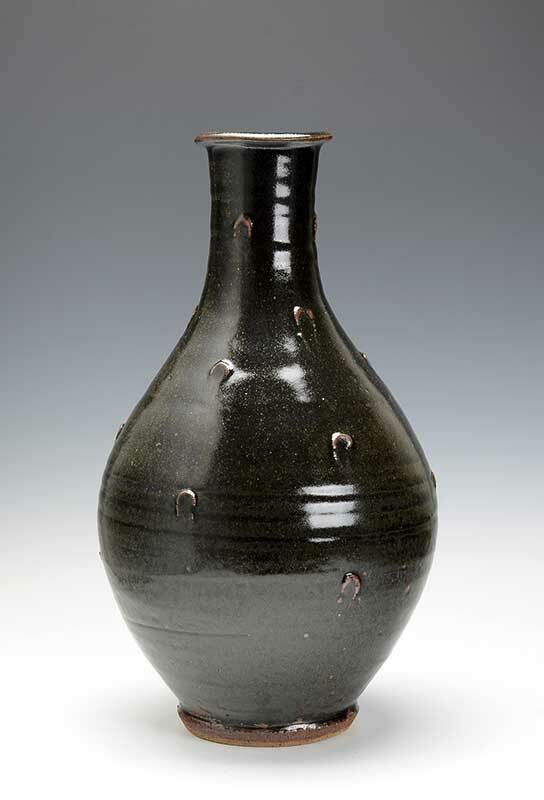 He is the author of Raku and Techniques Using Slips, both published by A&C Black. John works on the potter’s wheel making individual pieces and some domestic ware in reduced stoneware and porcelain. 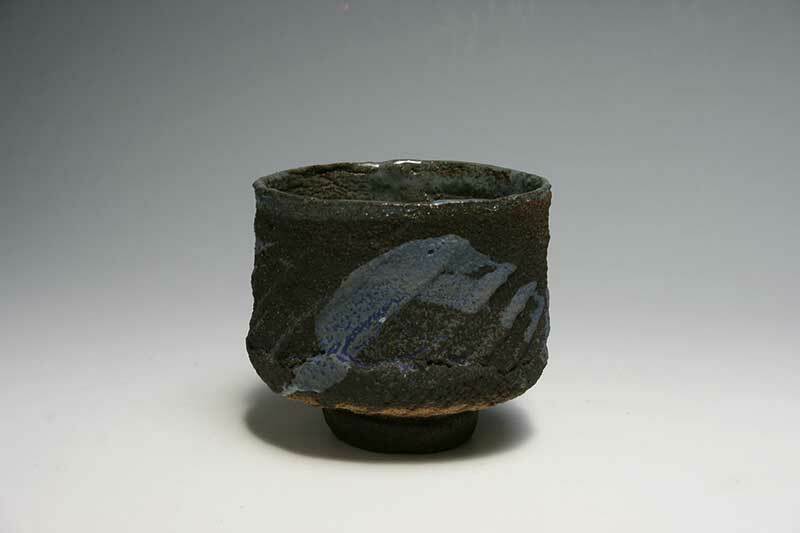 He uses a variety of slips and glazes, firing to cone 10 (1280ºC.) in a gas kiln. 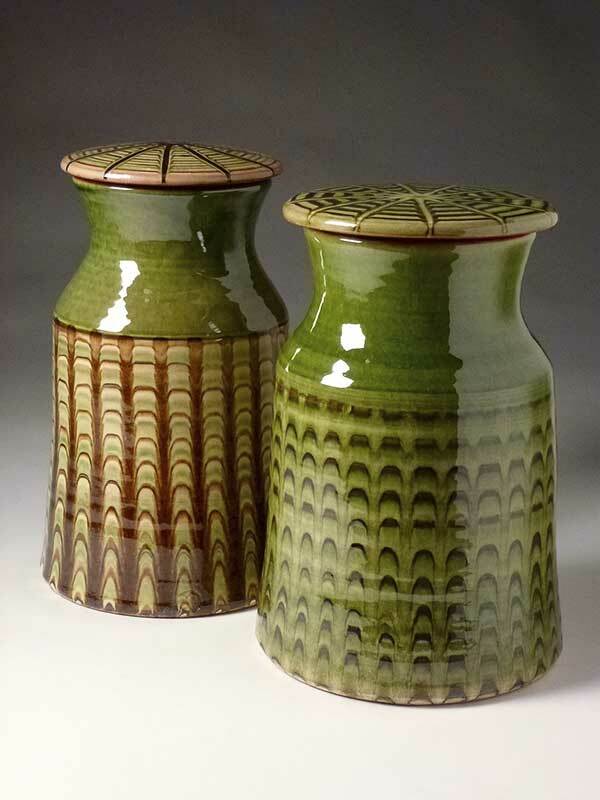 He has also worked extensively in slipware and raku. 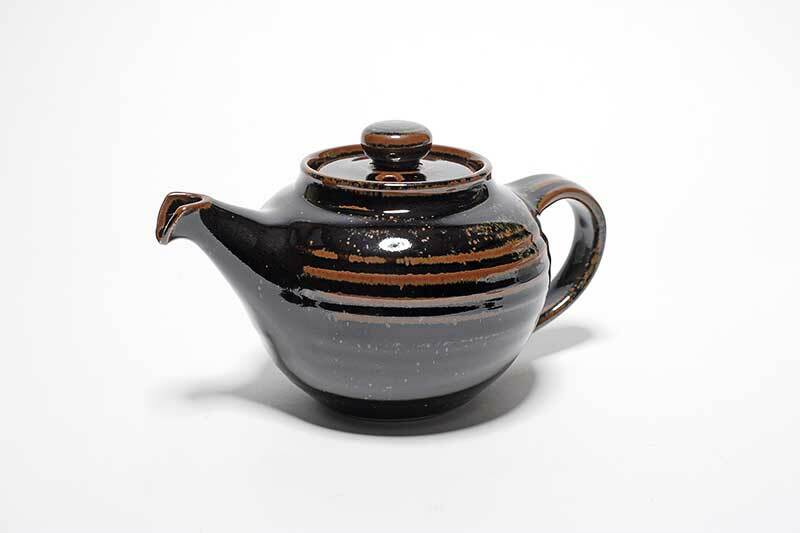 “Being a musician as well as a potter, I bring into my ceramic work the same creative process which lies behind Improvisation in music: the spontaneity and intuitive ‘free-ness’ of the moment of creation. 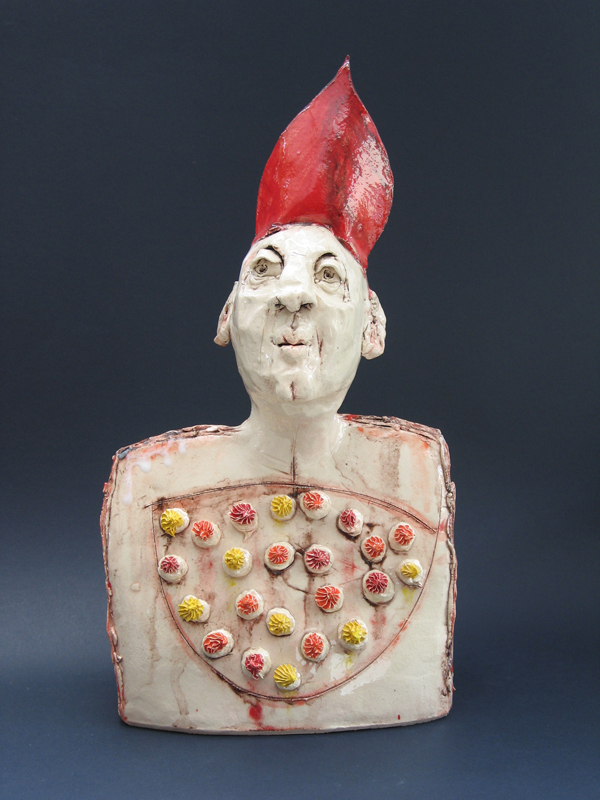 Works in red and white stoneware, and paperclay, reduction fired in a gas kiln. Vessel-oriented individual pieces are entirely hand -built, with sprayed glazes and brushed decoration, emphasising surface texture. 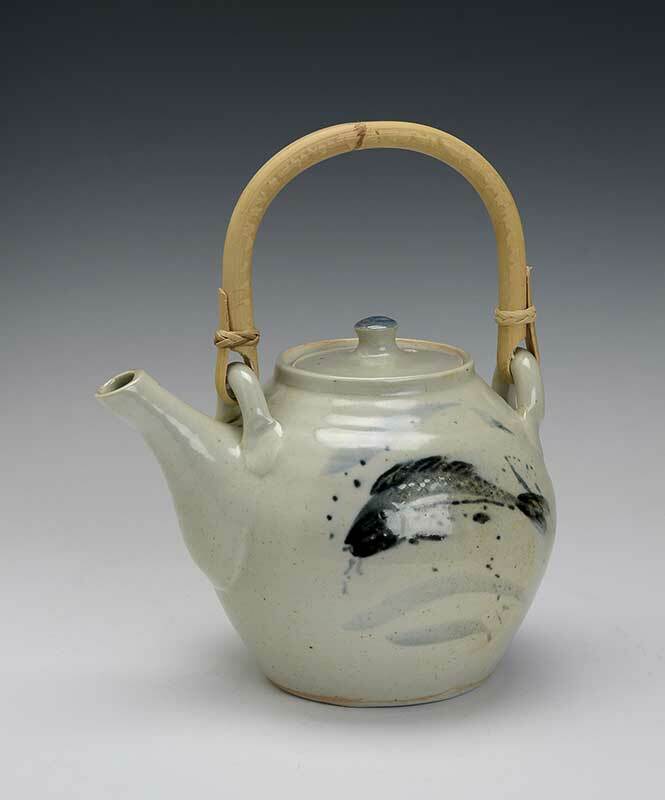 Typical forms made are large round and square plates, jugs, sculptural teapots and coffee-pots, large bowls and bottles, boat-shaped vases and decorative wall pieces. 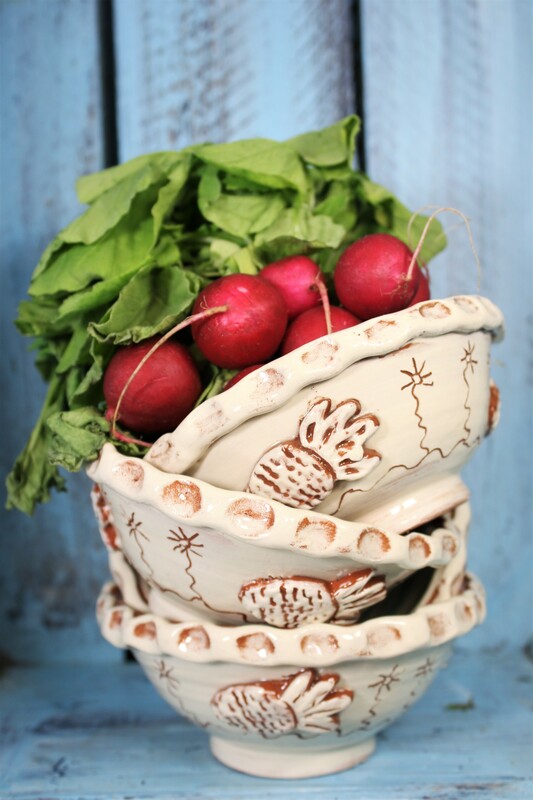 The essential elements of my work come from my love of pots with a purpose, pots for use in the home. 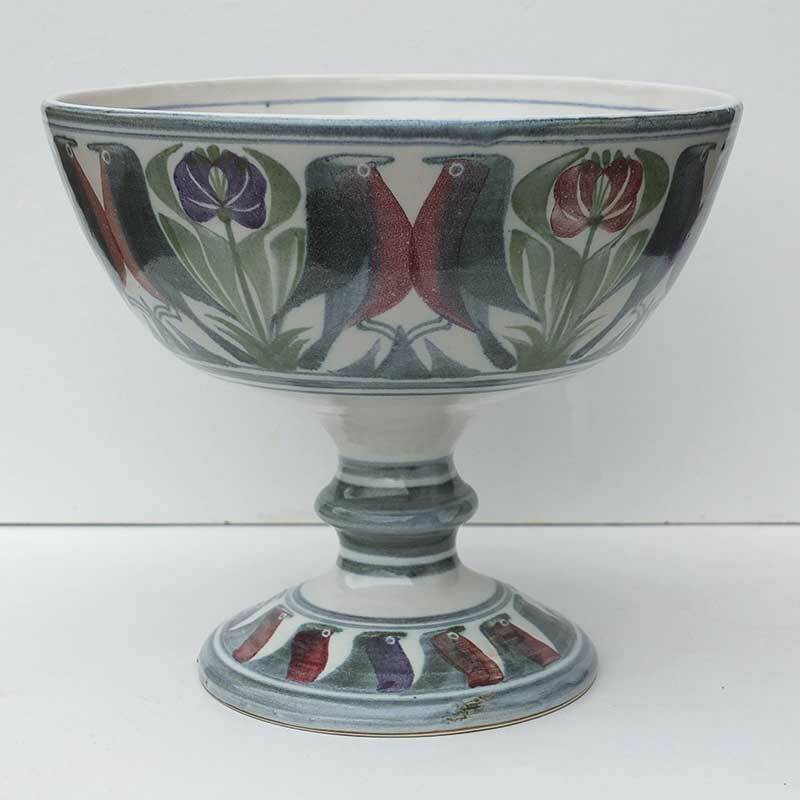 In particular I spend a lot of time looking at and where possible handling old English country pottery and medieval earthenwares. 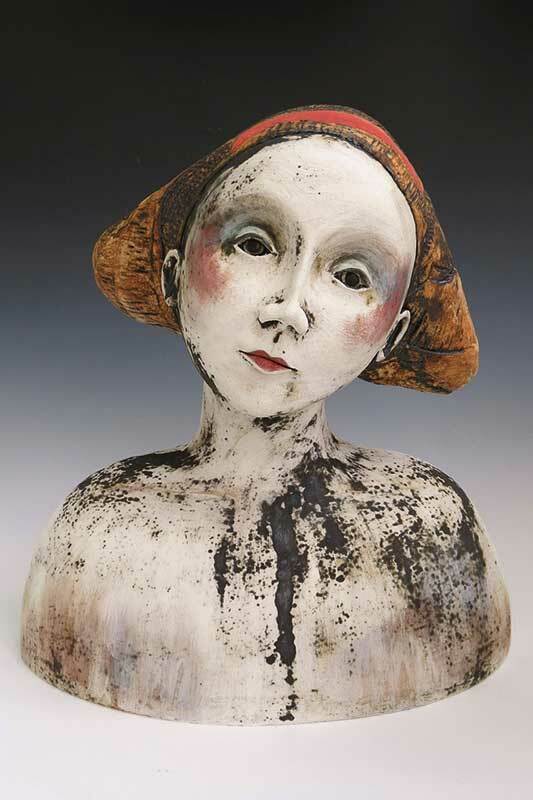 My work is thrown in red earthenware, decorated with coloured slips and finished with rich honey glazes. Most of the decoration is applied to the surface of the pot whilst the slipped surface is still glistening wet. The nature of this means that any patterns and imagery applied must be free and fluid to take full advantage of this state. Firing in both wood and electric kilns allows me to fully exploit my deliberately narrow palette of materials. 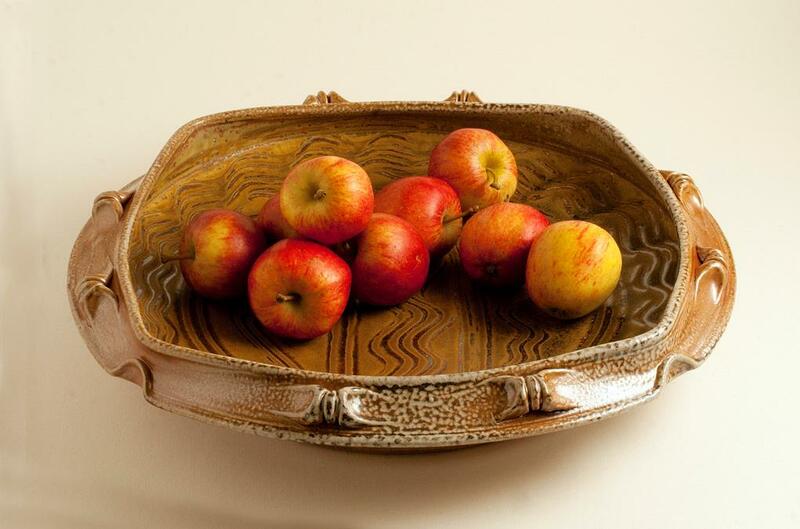 Brush decorated hand thrown stoneware. 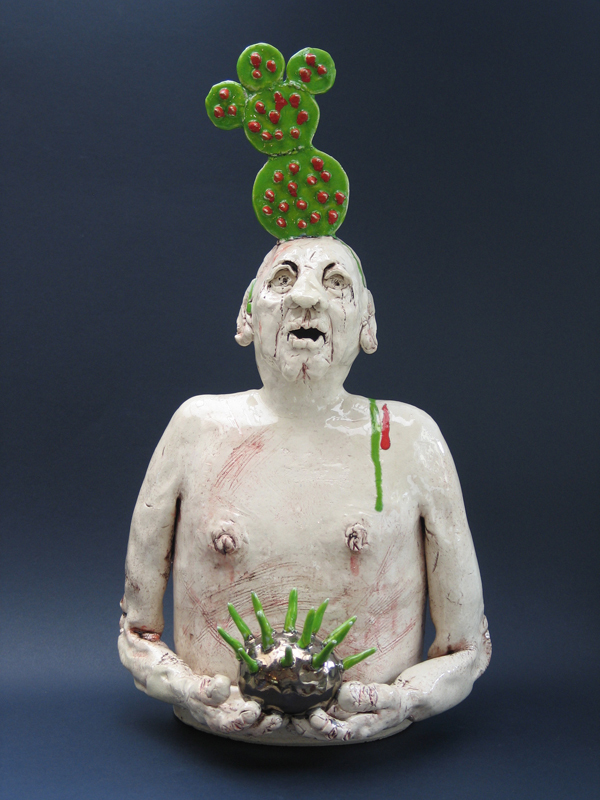 Ceramics is my life-long passion and I have been perfecting my craft for over 25 years. 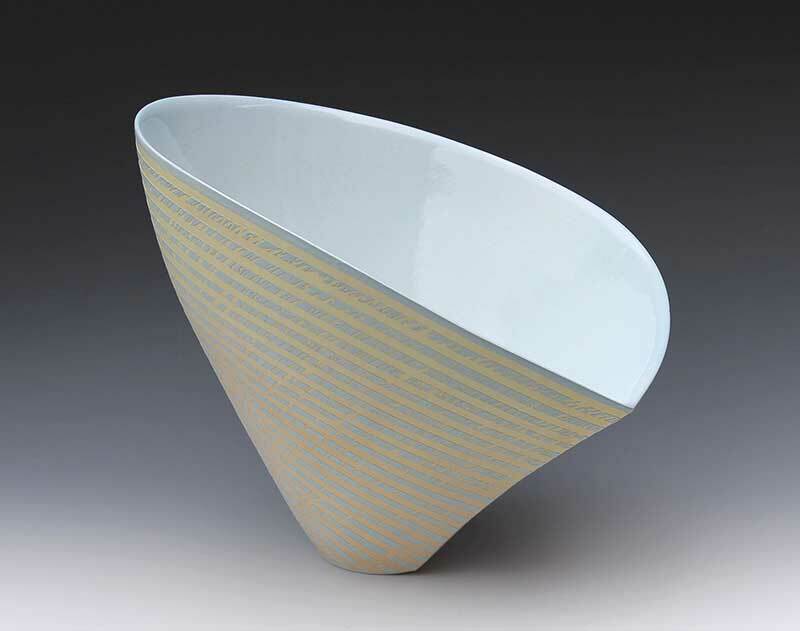 I am a professional member of the Contemporary Potters' Association and the London Potters. My pieces have been featured in group exhibitions since 1982 and I have been a regular participant in open studios. 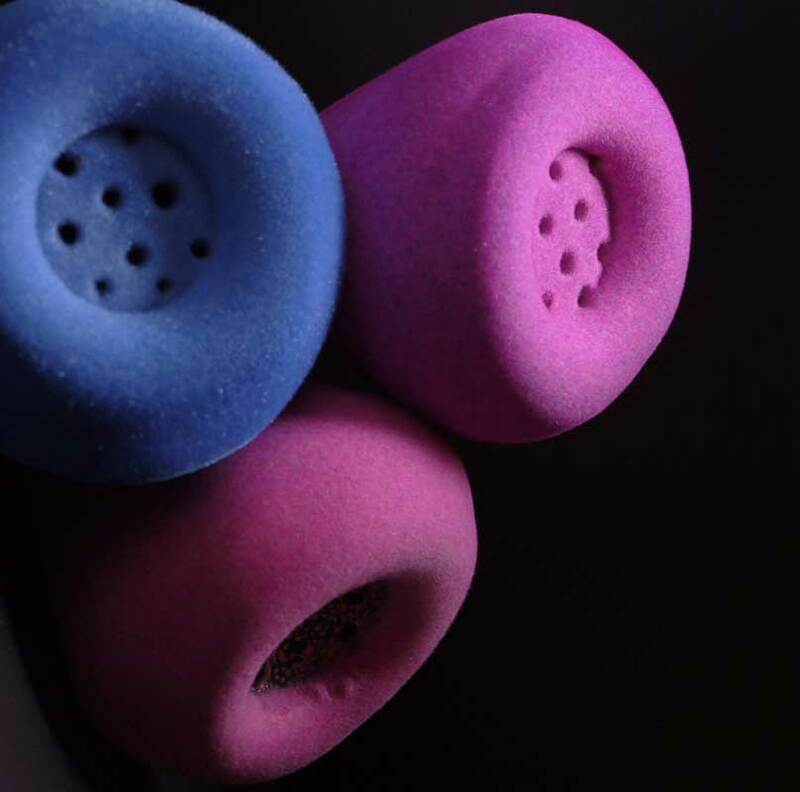 Clay attracts and applies a form of therapy, compelling people to caress it. It drives a compulsion that seems to form a sort of addiction; Mother Earth the healer. I joined the CPA in 1973. 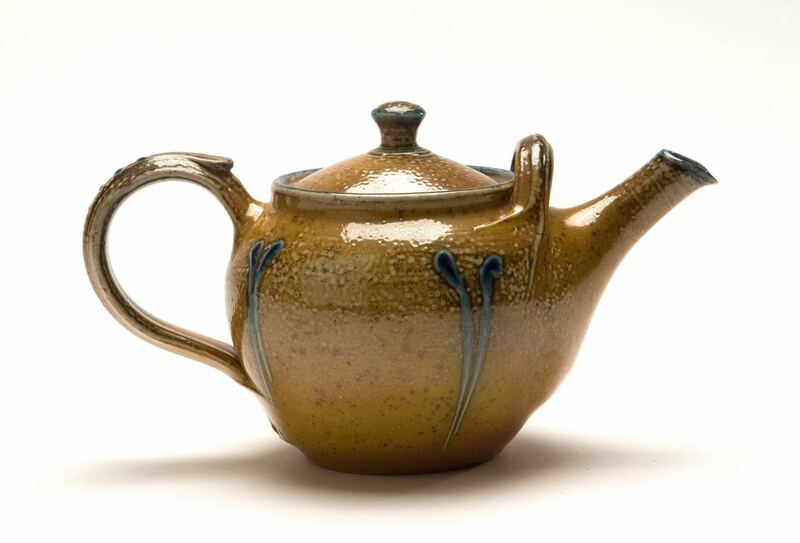 For 20 years since 1985 I was and still am a teapot maker in salt glaze. For the past 12 years however I have become a portrait artist. 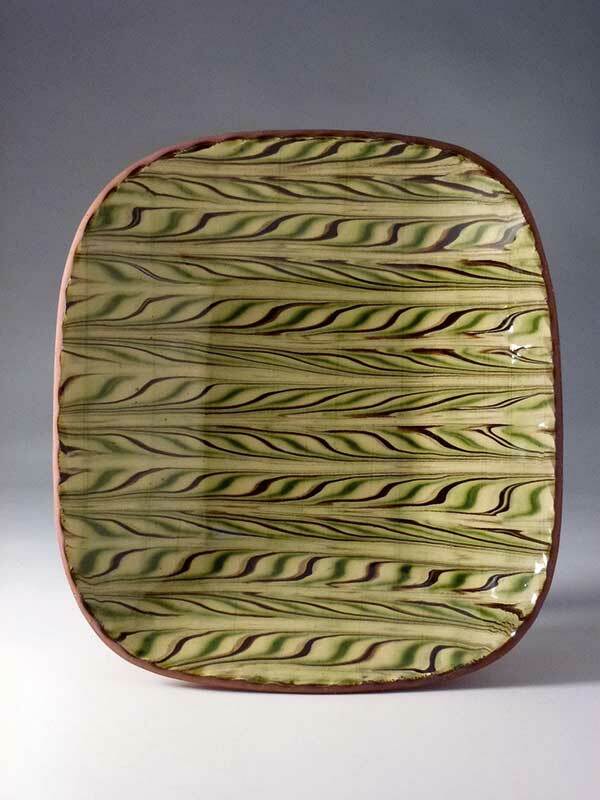 Salt glaze is still my medium and I use a wide range of processes, but the wheel is still my primary form giver. I model my heads initially in plasticine and then move in to the clay. Likeness is very important but I try also to get the character of the sitter and invite him/her to hold an item of special significance. I can include a caption. 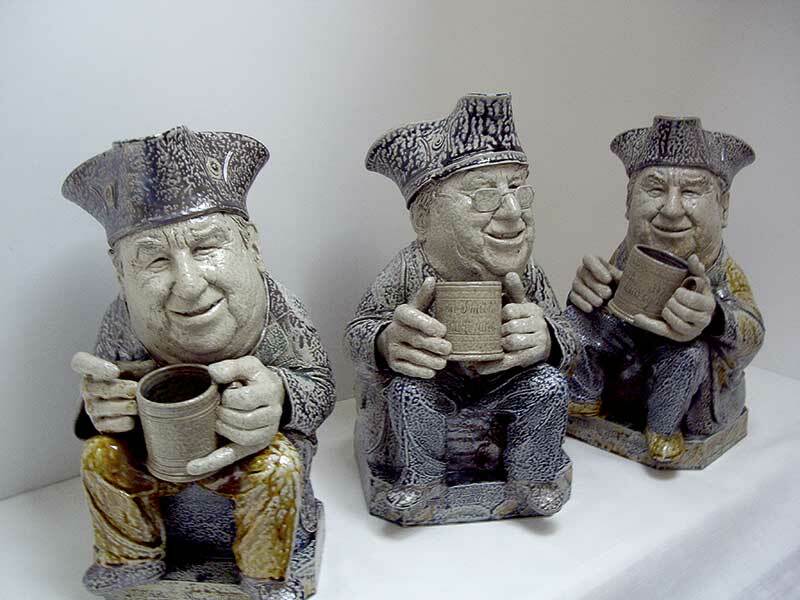 Some works are Character or Toby jugs but others are not. I enjoy doing celebrities, but also undertake commissions for other people. Size normally between 50 cm - 60 cm. My kiln is 1m3 is fired by LPG and has two burners and is situated in the Holywood hills in Northern Ireland. I enjoy visiting my sitters to take photographs and talk to them. 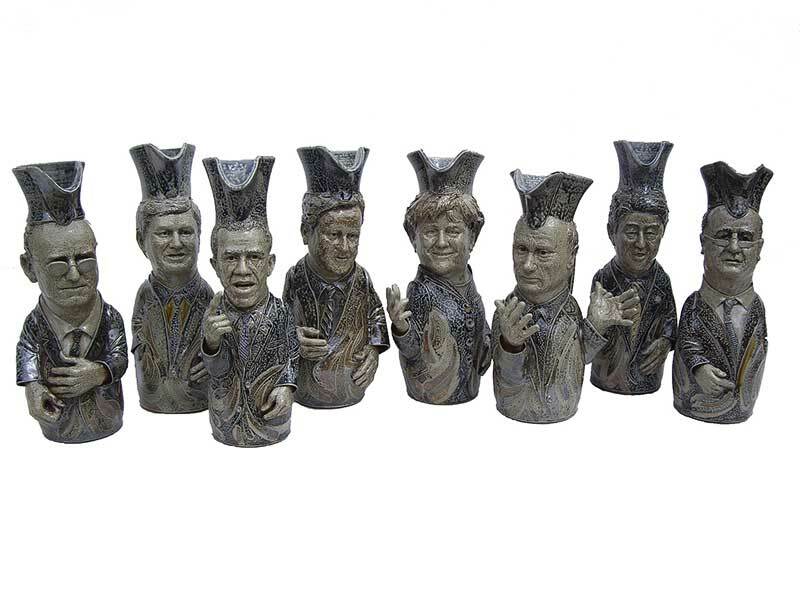 Currently i am making several members of the Antiques Roadshow team; for them. 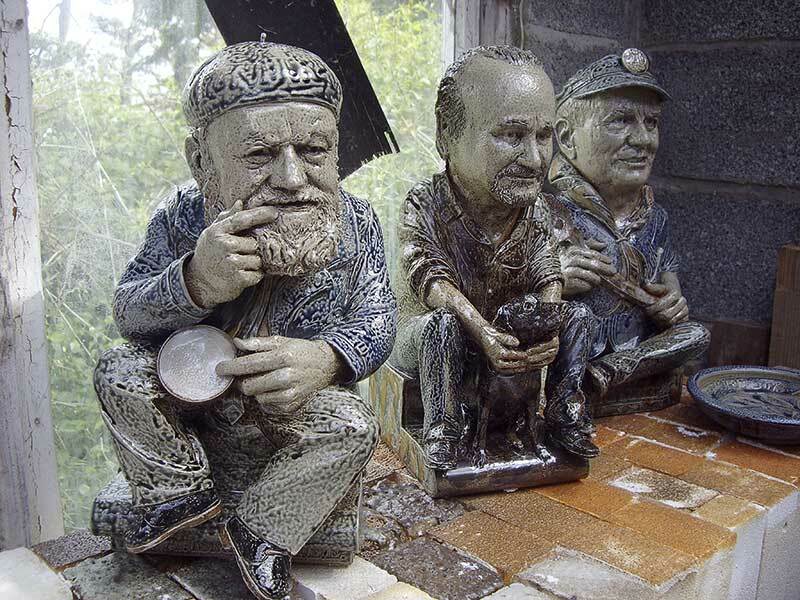 In return they will find me a nice piece of historical Staffordshire. My chosen medium is bone china. 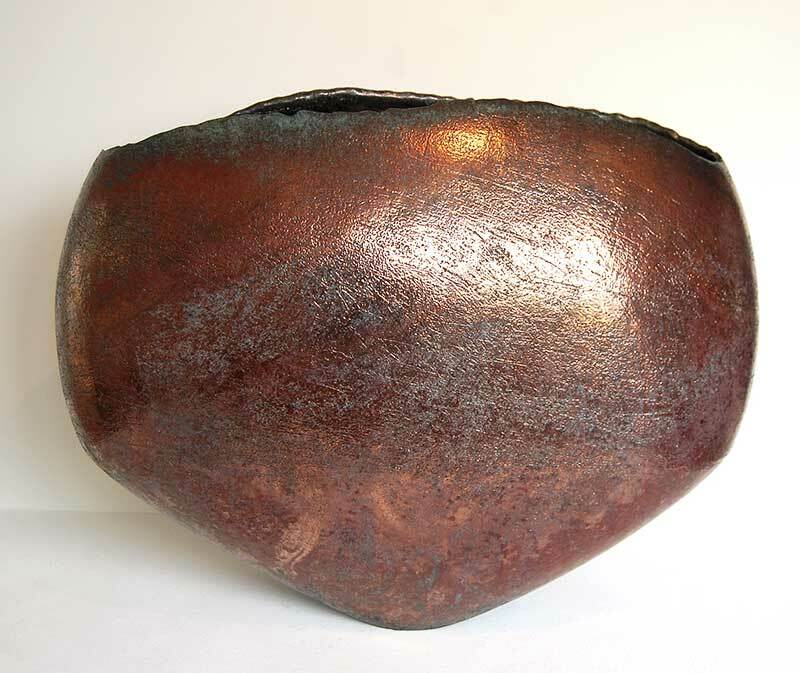 The work is a combination of slipcasting and handbuilding with paperslip, with an oxidized firing to 1260. 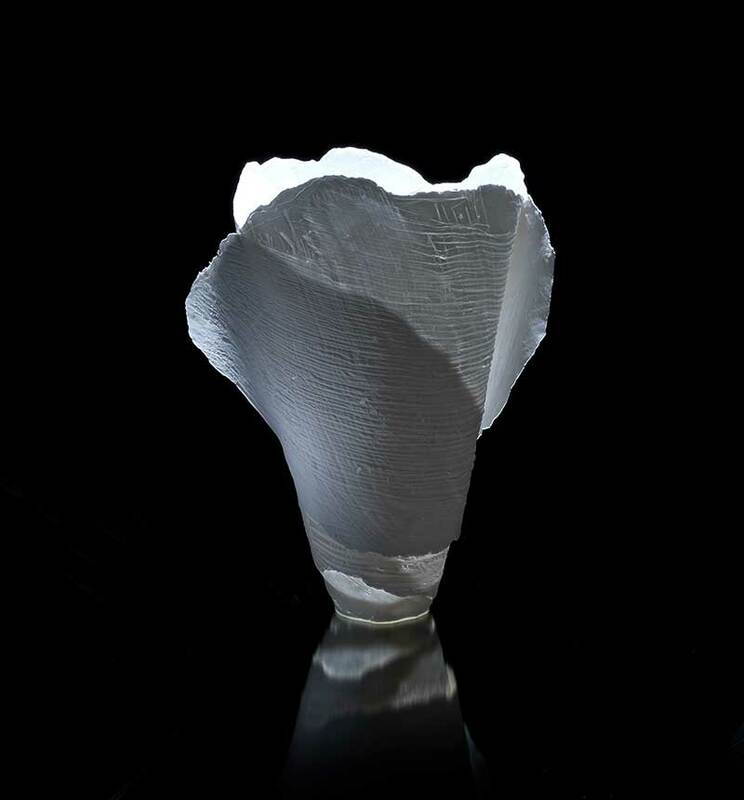 I aim to explore the delicacy and whiteness of bone china and its potential for the transmission of light, a quality which first drew me to it in 1991. I am particularly interested in the effects of light on the landscape, especially in coastal and mountainous areas where the infinite variety of organic contours, tonal contrasts, and patterns provide a continuing source of inspiration. Fragments of these have enabled me to introduce a delicate tracery of translucent texture into the work using paperslip. I seek to re-interpret my visceral response to these natural phenomena, resulting in delicate translucent forms inspired by nature. I am now focusing on larger scale sculptural pieces entirely hand built from paperslip. The light filtering through the overlapping layers creates a dramatic contrast, and a sense of movement. Also recent experiments have led to some dramatic functional pieces in black and white. Studio and gallery in Ely, Cambridgeshire is open to visitors by appointment. 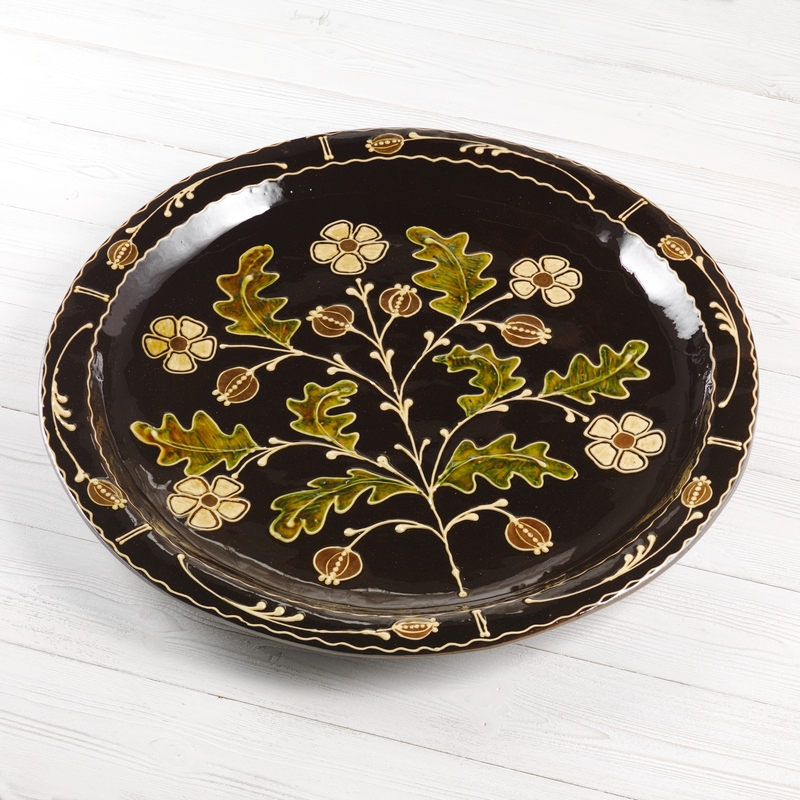 I make a range of functional domestic slipware fired to approximately 1070 degrees centigrade either in an electric or wood fired kiln. My work is mostly thrown or sometimes slab built and aside from some more individual decorative pieces is mostly intended for everyday use as table or ovenware. 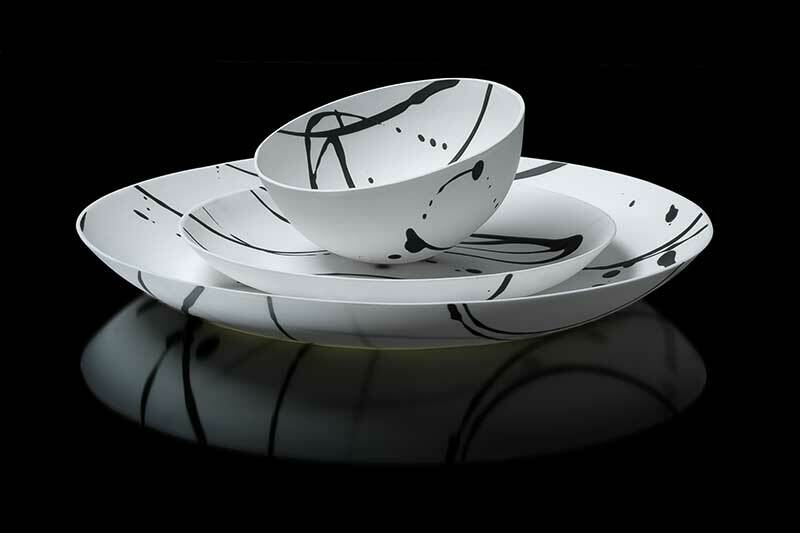 The work is inspired by traditional slipware from across Europe as well as many other influences such as 1950s Scandinavian design or Japanese textiles. In 2005 after 15 years working as a London based potter I moved to Peillac in Southern Brittany where I now have my workshop together with a small showroom from where I am able to sell directly to the public. 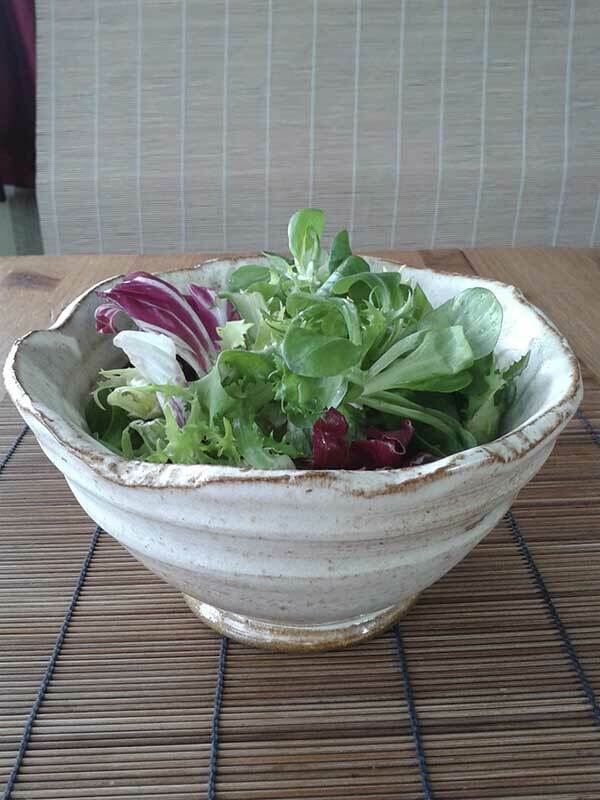 I have been making pots for over fifty years and I am still enthusiastic about making pots for everyday use and am constantly inspired to make pots to put food on the table. The longer I make pots the more I see the possibilities in the clay I use and get even more excited when I discover new textures and colours from the same few basic materials that I work with. 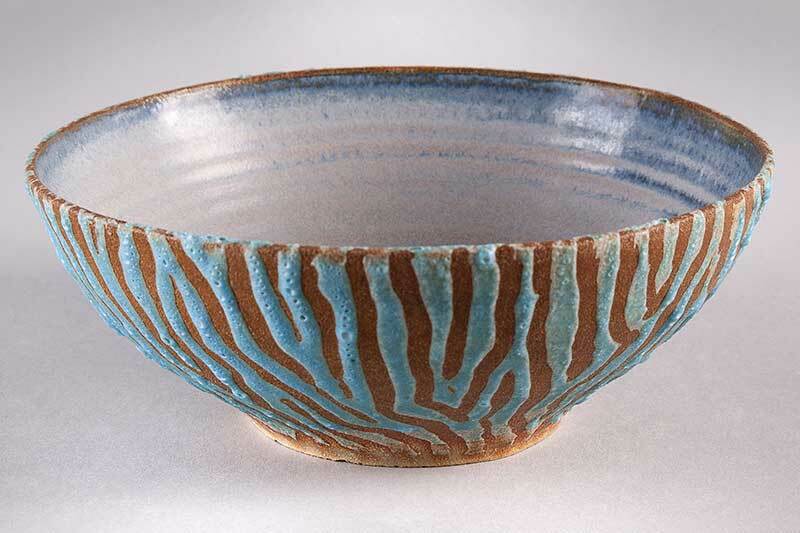 Saltglaze stoneware is a beautiful medium for my type of work, yielding so much subtlety from the clay with all kinds of variation in surface texture which truly enhance the food that goes on it. I sell everything I make from my own studio workshop in Conderton. 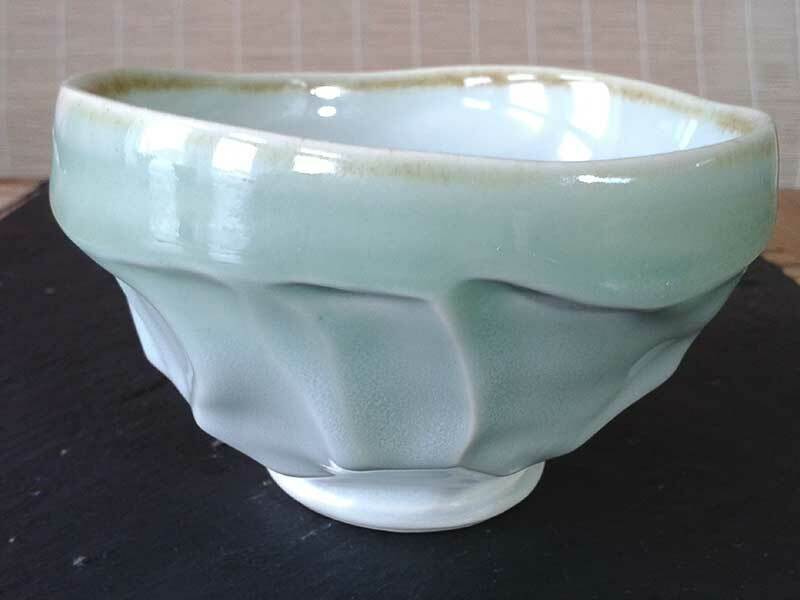 I am a designer-maker specializing in functional ceramics to fit comfortably in the home, particularly the kitchen (my favourite room in our house). Breakfast has been my starting point; berry bowls and spoons, toast racks and knife rests, egg cups with decorative storage boxes and bowls of all shapes and sizes. The whole range is mix and match. When making my own work, my approach is relaxed and playful, and I hope this translates through to the finished pieces. 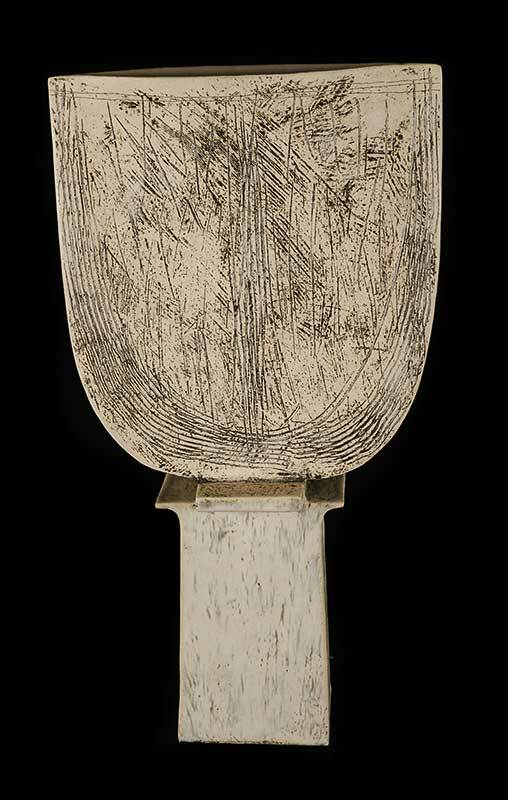 Slips are brushed on, sgraffito designs drawn into the surface and spriggs applied, making the pieces tactile, a deliberate consideration. I restrict my pallet to blue and white slip on terracotta clay; it links everything together and has a country cottage appeal. All making happens at the wet clay stage. After a biscuit firing I don’t add anything else to the surface except for a simple lead-free glaze. Growing up in Yorkshire and Nottinghamshire landscapes, the division of space through colour has always fascinated me. Through farming vast spaces are divided into shapes, each one uniquely defined by its colour, texture, line and form. These colourful shapes lead the spectator’s eye around the landscape in a particular way. The colours in my work similarly determine the way the eye moves around the form. 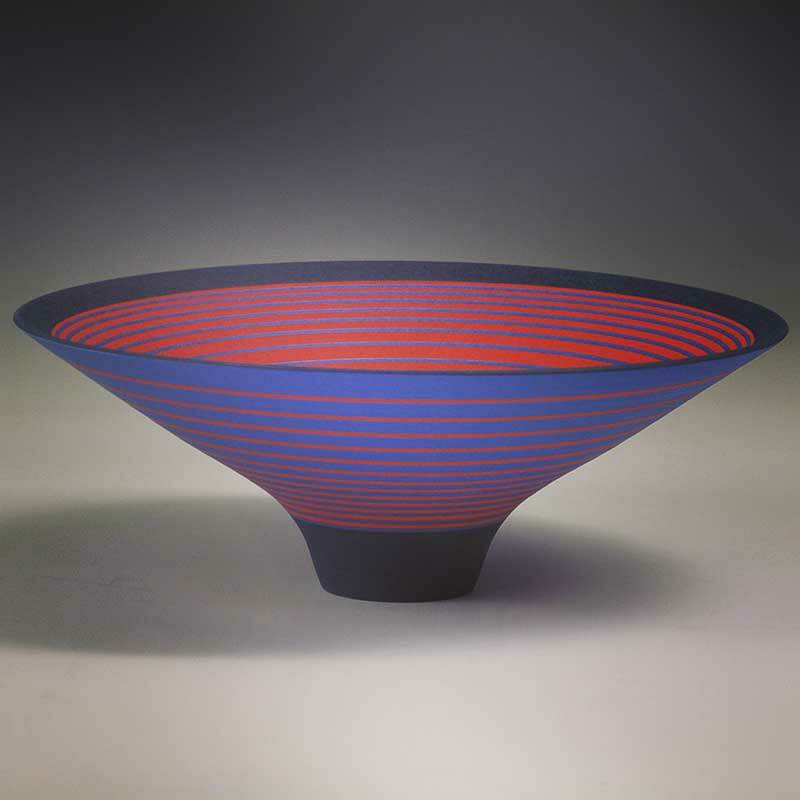 Furthermore, as colour changes the appearance of space within landscape, each bowl appears changed through the application of colour. 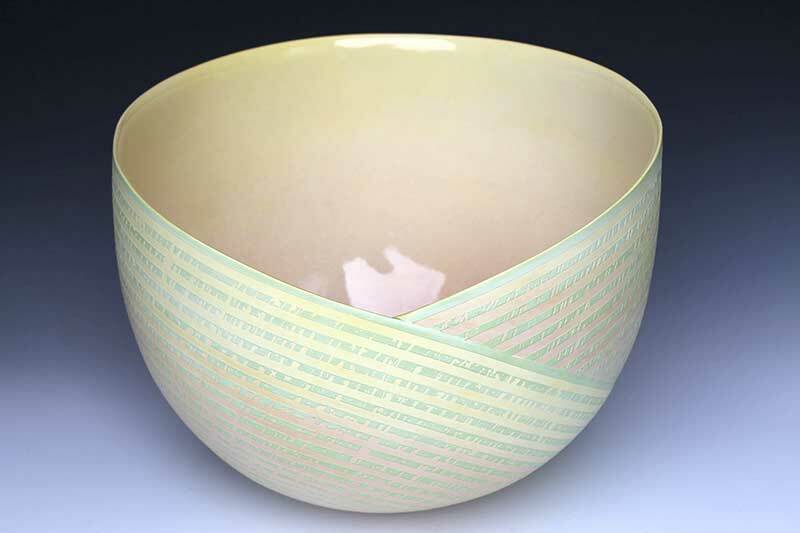 Some bowls seem deeper, shallower, wider or narrower, multiple lines shimmer and where wide bands meet, sharp edges appear. Having lived near the coast in Cardiff for 11 years I have become interested in the reflectance of water. This high gloss surface adjacent to matt surroundings suggests the capacity for high gloss surfaces, against matt ones, to create illusion on the surface of my bowls. I am currently exploring these ideas with the help of Welsh Arts Council funding, and will exhibit new works referring to St. Ives coastlines soon. 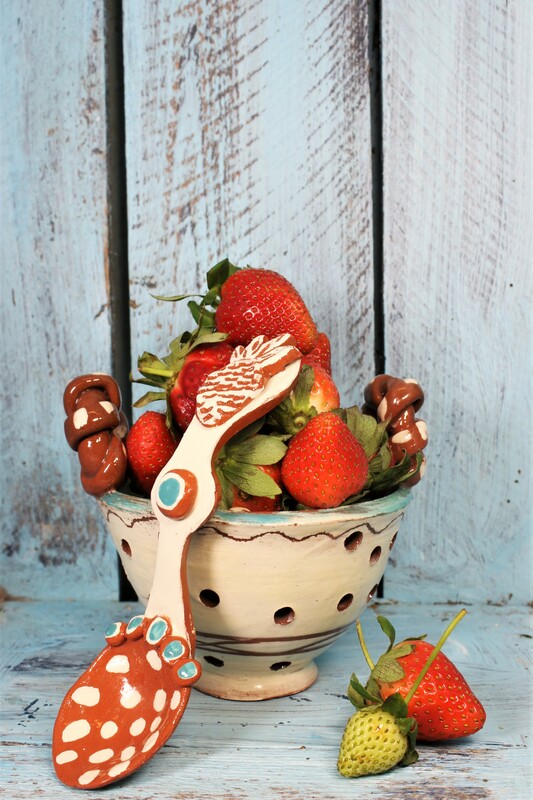 The bowls are thrown on a wheel using white earthenware clay. 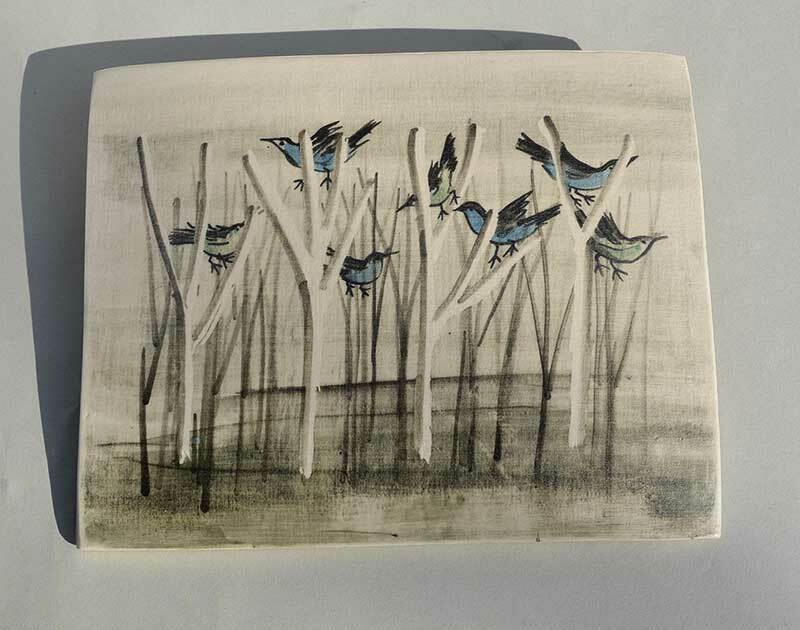 They are then turned and bisque fired before being returned to the wheel and hand painted with underglaze colour. 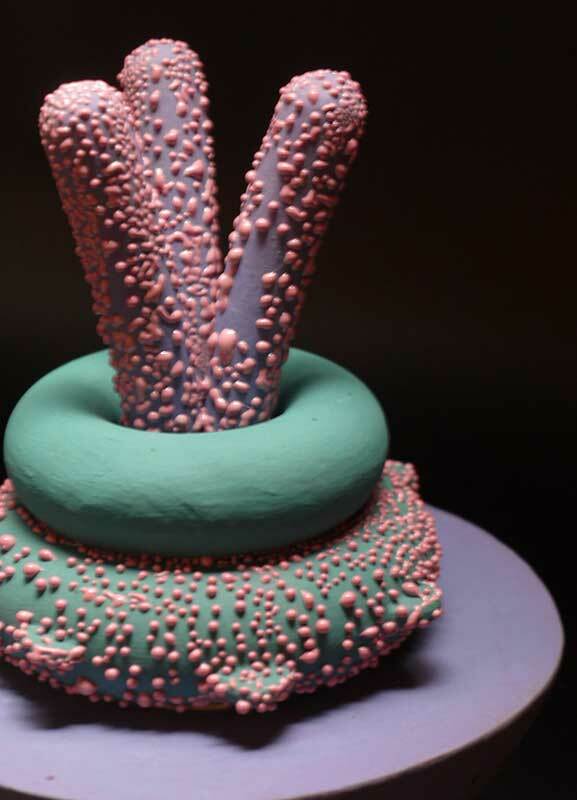 I work in Fireworks Clay Studios in Cardiff, which is a collective of 20 ceramicists. My ceramics have always been about Time. Inspired by exploring coastal geology and marine fossils growing up in North Yorkshire, followed by travels across 3 continents, from California's earthquake riven landscape, to Cornwall's high cliffs, stacks and coves, and back to the Jurassic coastline of North East England where I now live, my lifelong journey has been to investigate how I could create equivalents in art which demonstrate the power of natural forces I have witnessed, coupled with the desire to create beautiful, refined vessels. I believe that the pieces I am now making express both the fragility and strength evident in the material I use and the inspiration that sent me on this journey. 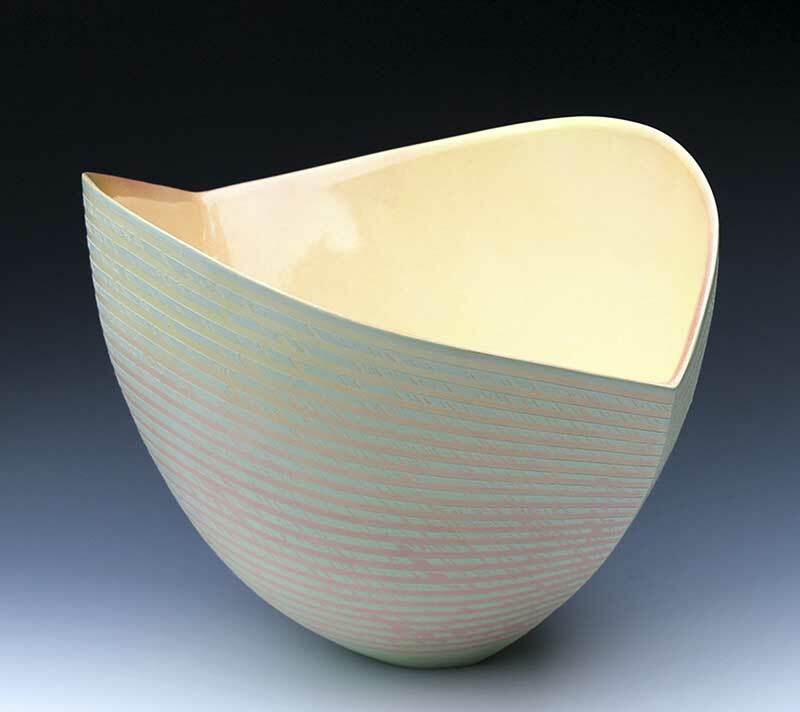 I work solely in a smooth white porcelain body which I fire to Earthenware for the larger coil built pieces and Stoneware for the smaller wheel thrown and altered pieces. The white surface acts as a canvas for both the vibrantly coloured burnished slip decoration and the minimal matt glazed pieces produced at each temperature. 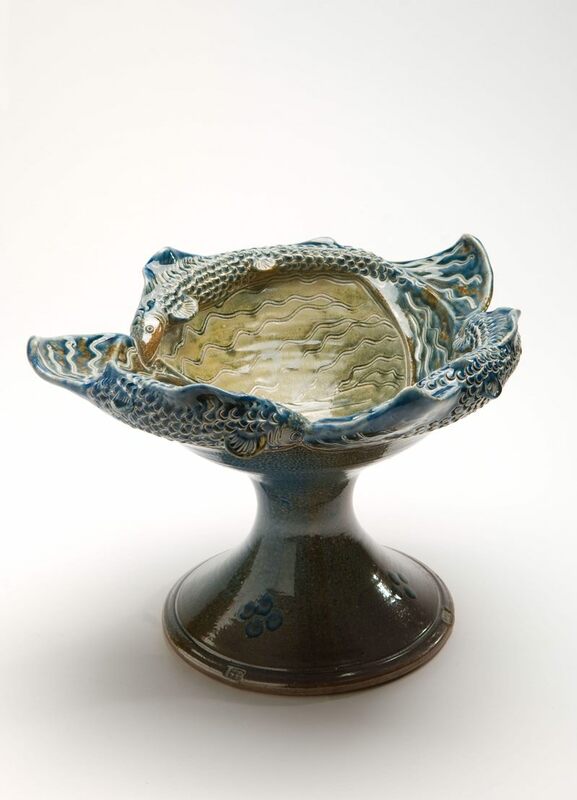 My ceramic practice falls into three broad and often interchangeable categories: decorative ceramics, sculpture, and architectural works including throwing, hand-building and press-moulding. 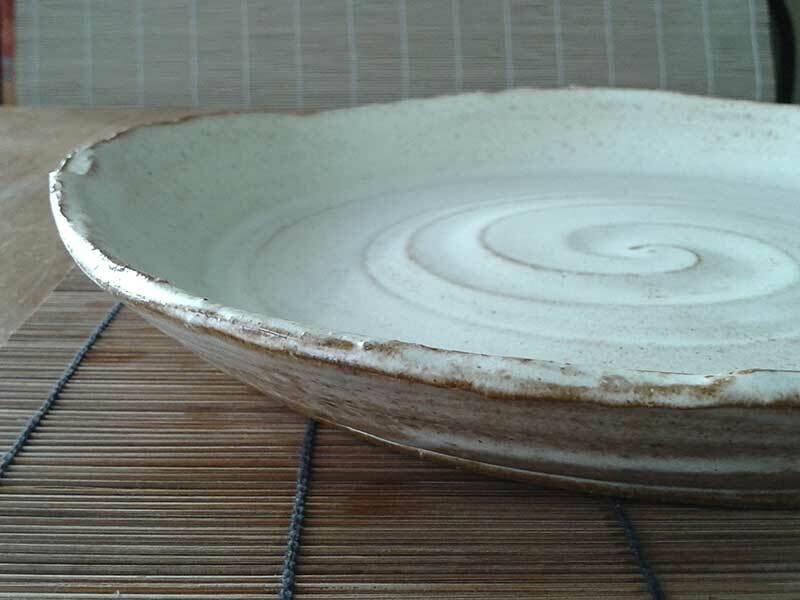 Firing temperatures for earthenware are 1020-1080°C, stoneware 1220-1280°C and decorative treatments including glazing, lustre painting and transfer work 820°C. My decorative works have gradually become restrained and understated as I strive for harmony and balance from ever changing combinations of colour, pattern and form. 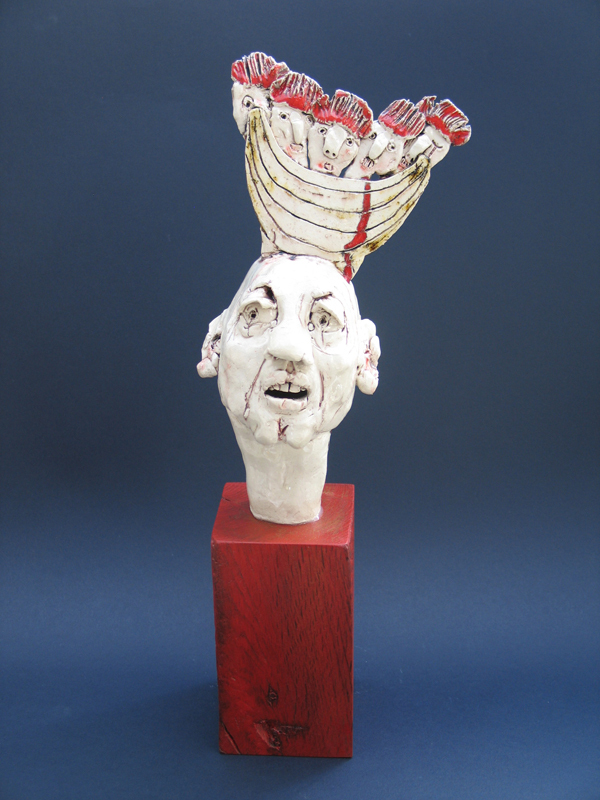 My sculptural work often shares similar concerns in that I make liberal use of material and methods that I first experienced when training as a potter. My architectural works often bring me close to other artists and designers including architects, teachers, students and schoolchildren. 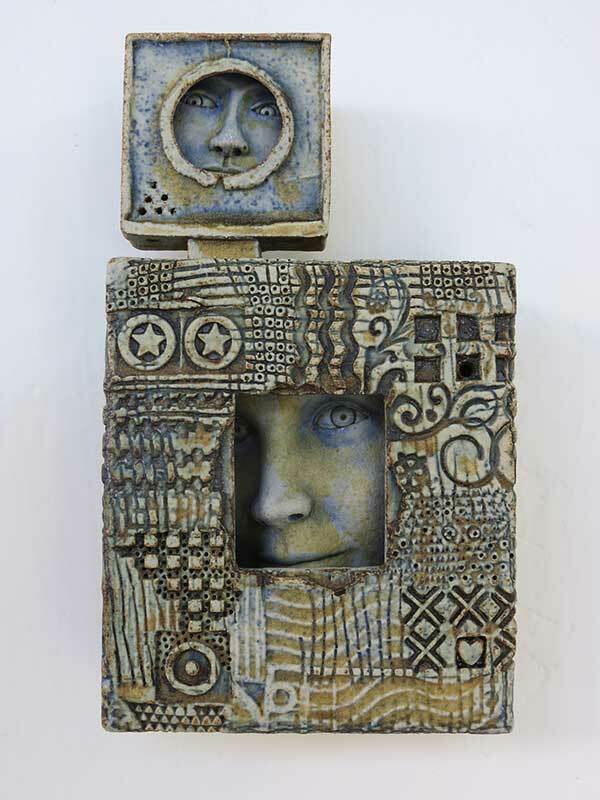 These collaborations help me to employ many elements of both my decorative and sculptural ceramics and reflect both an historical and contemporary awareness. 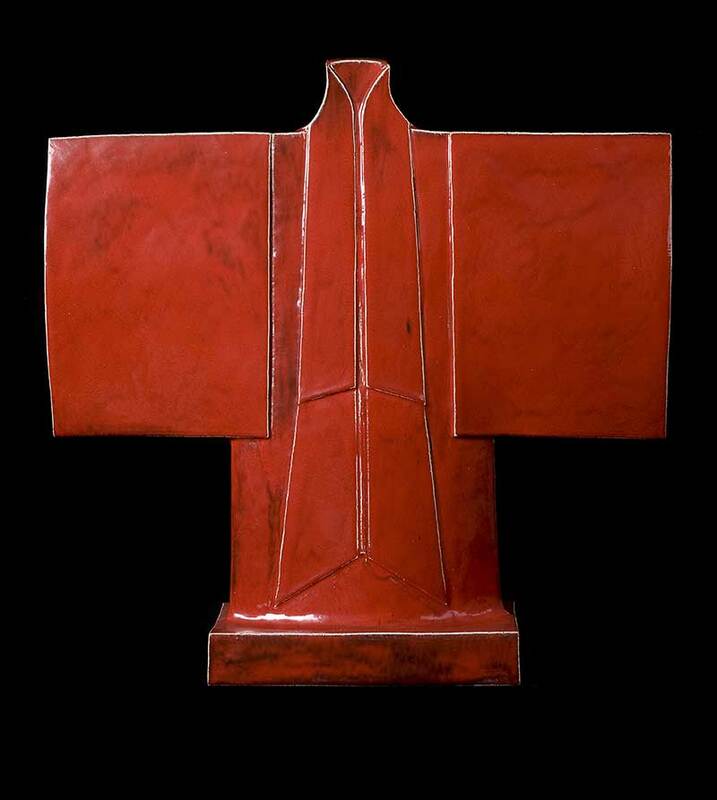 The formal, repetitive aspects of my ceramic forms and surfaces are of major importance to me. The carefully constructed surfaces have become canvasses with recognised boundaries enclosing tightly drawn, painted or modelled exteriors. In my earliest work I was keen to use quick, explosive, expressionistic mark-making into the clay surface rather than on it; gradually this exuberance has become quieter and more controlled. I am now more concerned with aspects of harmony, balance and the interaction of colour, pattern and form. 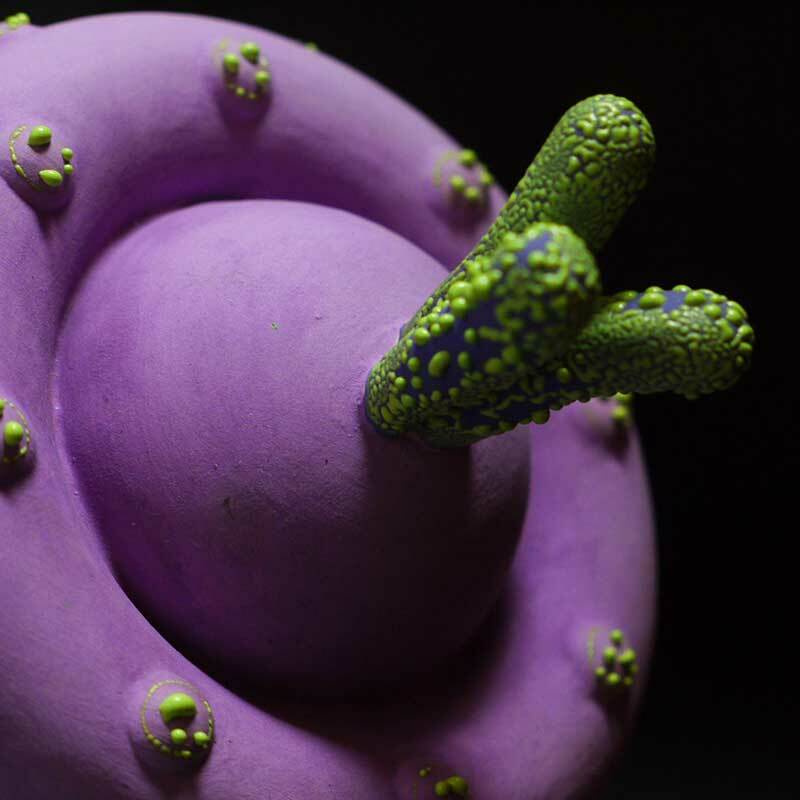 “Catrin Mostyn Jones has a clear aesthetic language and fascinating vision"
Sculptural works are inspired by exploring nature and the human body at a microscopic level. Examining the complex colourful images derived from these studies has given Catrin the stimulus to develop and explore differing combinations of form and colour. 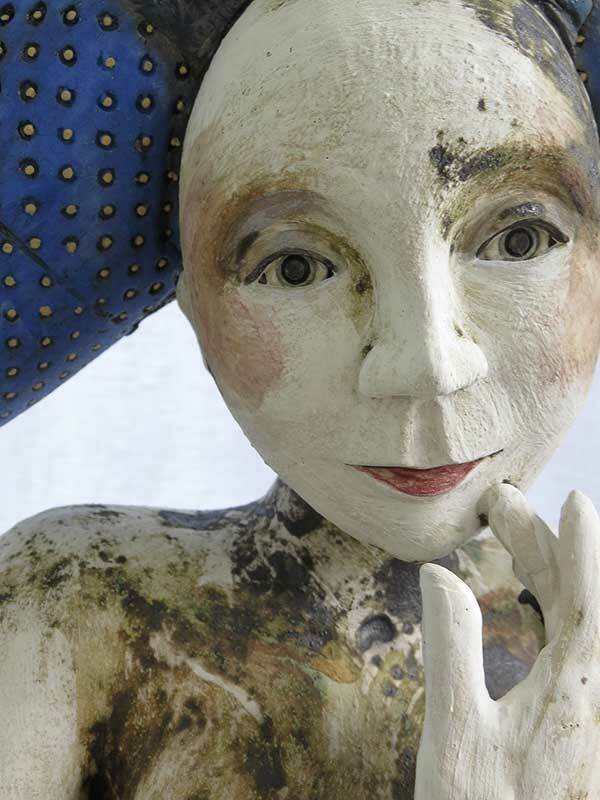 Catrin's vivid collection of hand built and press moulded sculptural forms are brought to life by the additions of growths using coils and textures. 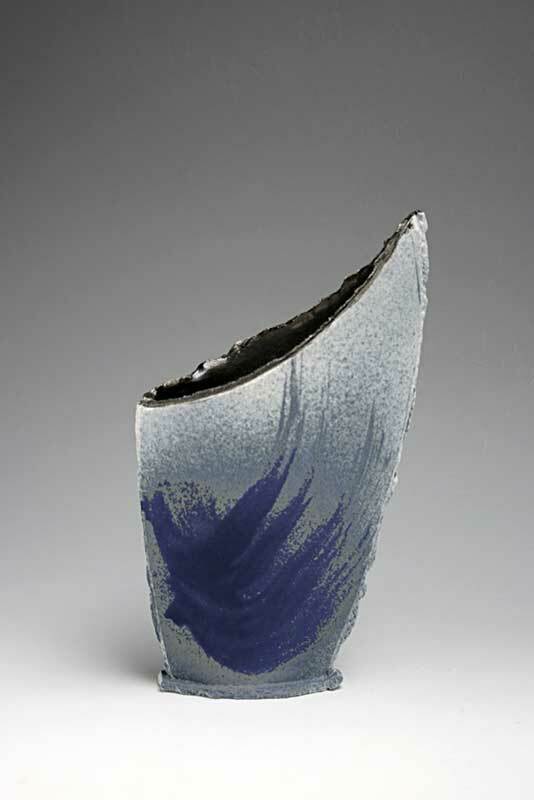 Her work is predominantly non-functional or it could be said that some of her pieces are functional with a twist. The collection ranges from large extravagant one off artefacts to medium and small decorative, tactile pieces, including a jewellery and lighting range. 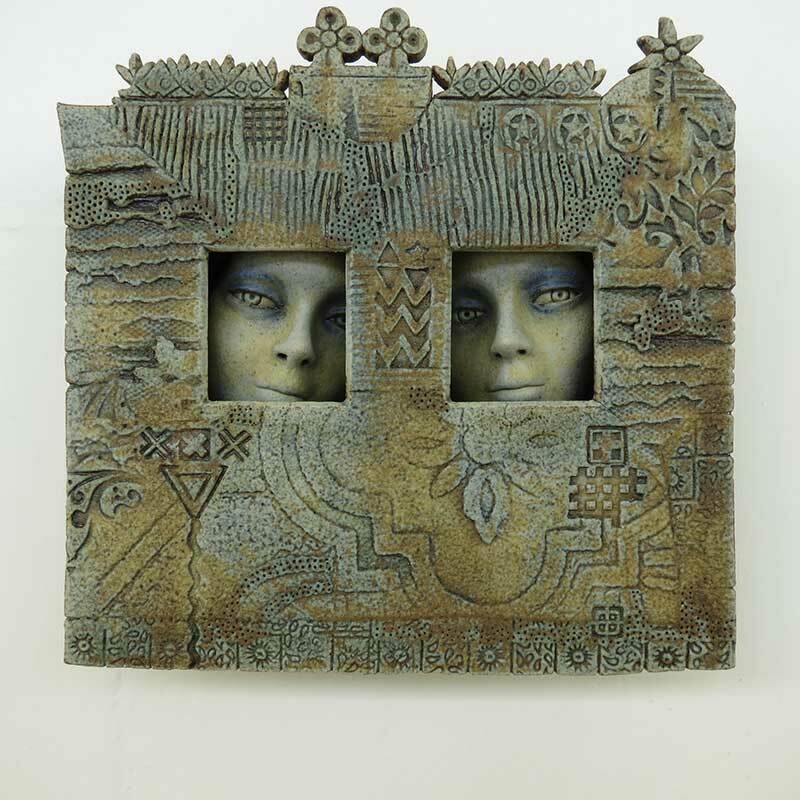 What really brings the work alive though is her exciting surfaces which include flocking and glazing, through a wide range of earthenware glazes applied by spraying multiple layers sometimes using a wax resist. 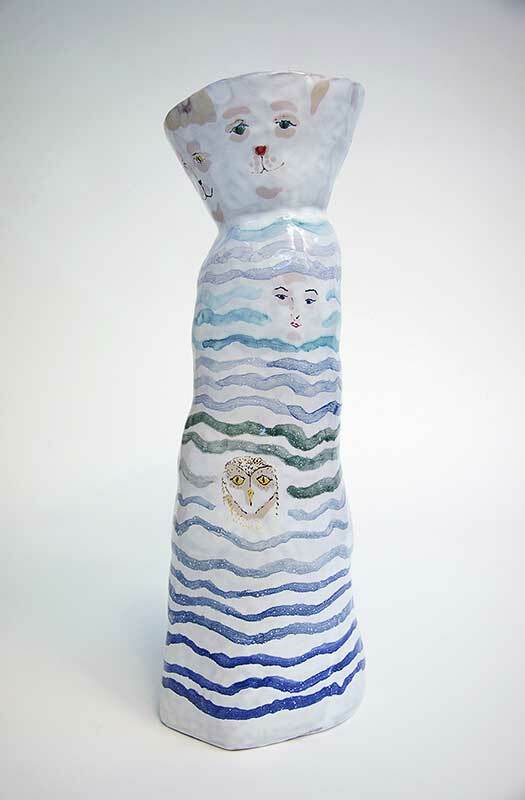 Claire is a figurative ceramicist living in North Devon. She has been a Professional Member of the CPA since 2002. Her contemporary work explores the complexities, idiosyncrasies and fragilities of human communication. All pieces are individually hand-modeled using a mixture of slab, coiling and pinch techniques. The clay used is Scarva Smooth Texture. 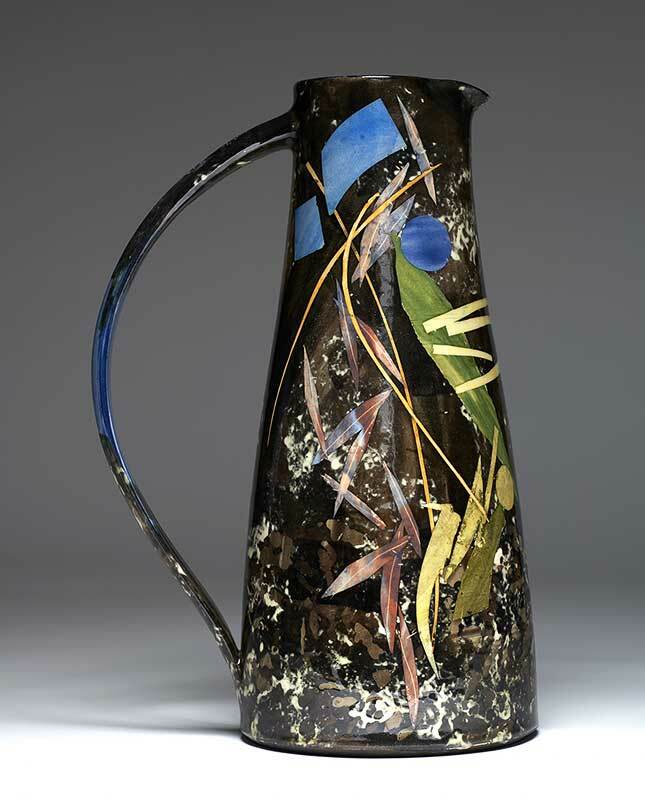 Work is finished by employing a mixture of metal oxides, UG colours, glaze crayons, decals and transparent earthenware glazes. Final firing temperature is 1060 degrees Centigrade. Each piece may take up to four days to complete. Influences are diverse and come from natural and built environments. The work is hand built and Raku fired. Small batches of 4-6 related forms are developed simultaneously, often beginning with a thrown base, adding coils with continuous refinements being made. The pieces are all biscuit fired to between C1060-1100 before brushing and then spraying with thin layers of glaze. 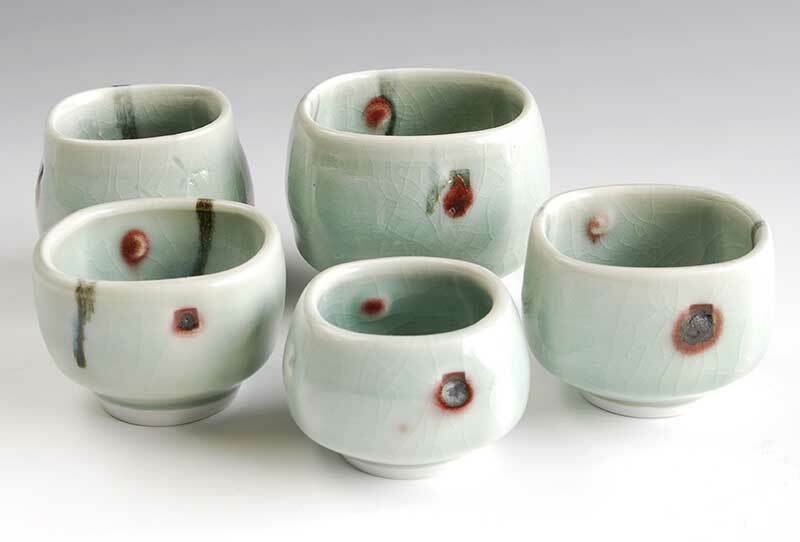 After the raku glaze firing, from C800- 1000, depending on the maturation point of the glazes used, the forms are removed from the kiln and put through a period of post firing reduction. This is achieved by placing the pots in bins of sawdust and wood shavings. The results from each firing will indicate a new focus for investigation. 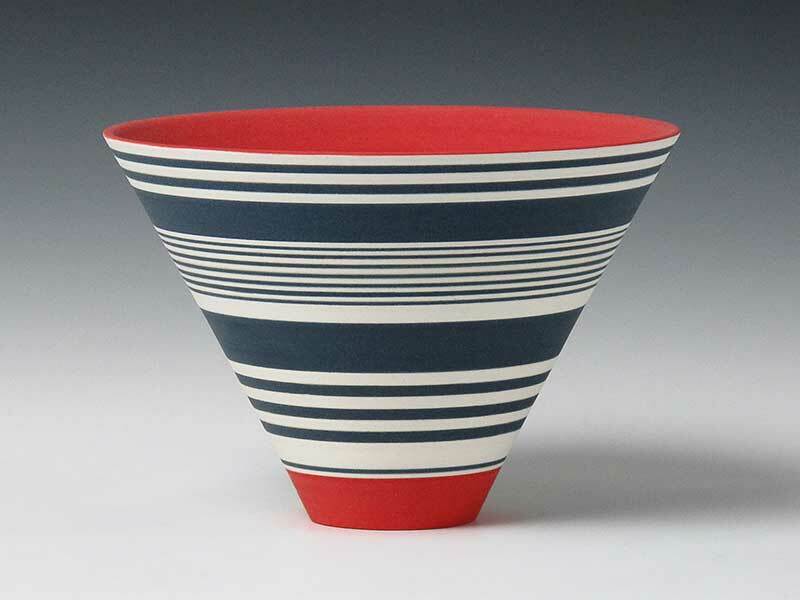 Emily Myers is a studio potter who lives and works in North Hampshire. 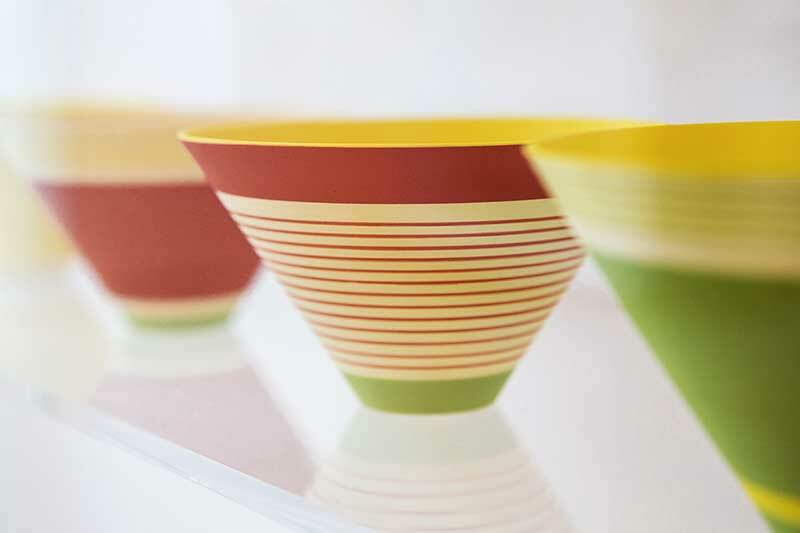 A happy introduction to ceramics at the age of 12, led her to a lasting love of throwing pots on the wheel. 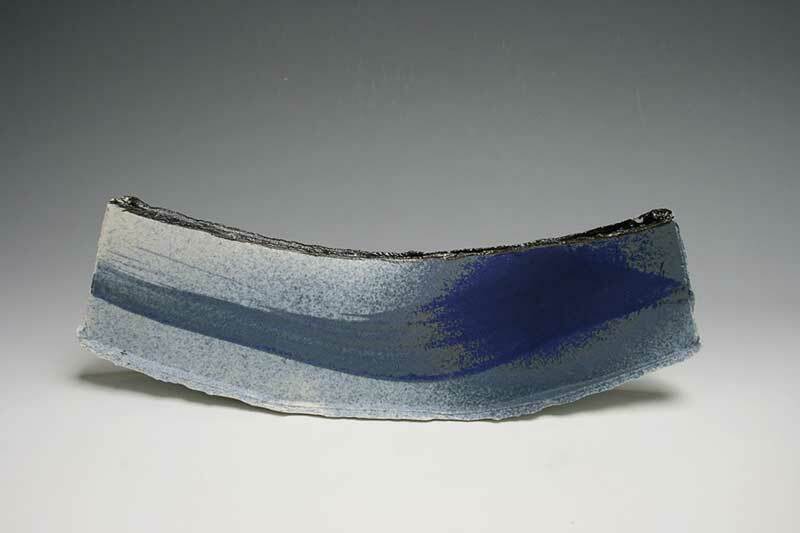 After completing a degree in Ceramics at Bristol Art School, she was awarded a Craft Council Setting - Up Grant in 1990, which enabled her to establish her first studio in London. 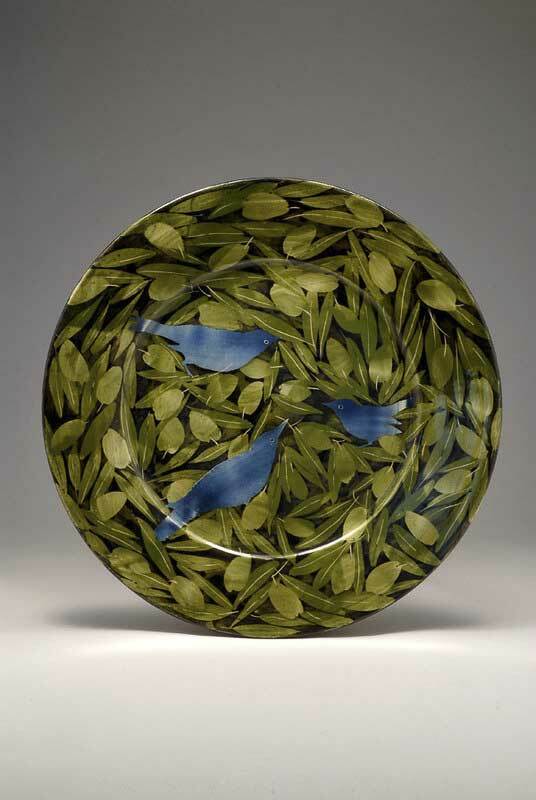 In the same year, she also became a Fellow of The Craft Potters’ Association. The wheel is central to Emily’s studio practice. 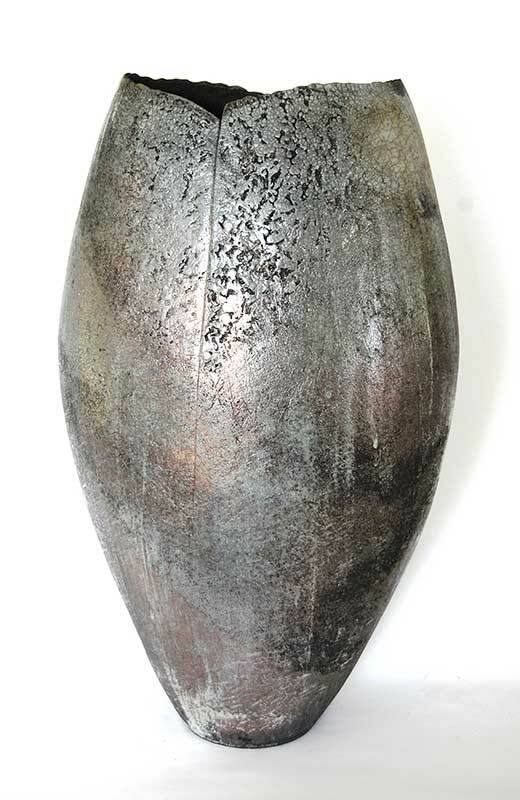 The thrown vessels, domestic in scale, are often carved, faceted and altered to create new and interesting shapes and surface textures. 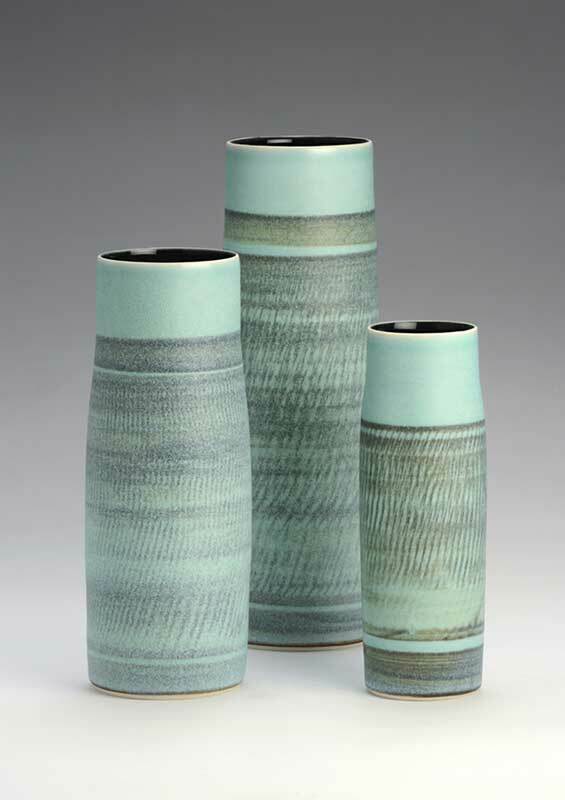 Emily’s well-proportioned and distinctive vessels, have evolved over the years, taking in diverse influences. 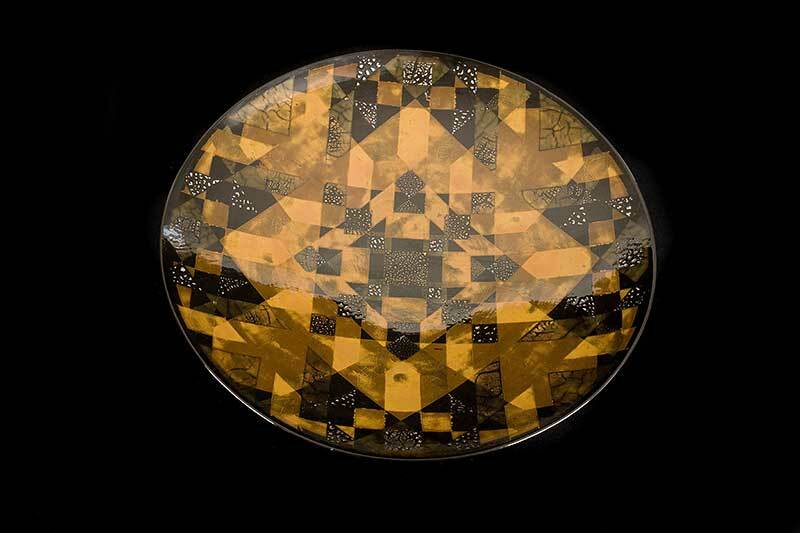 A new shape may be inspired by the natural geometry of a seed-head or the precision of a metal cog.